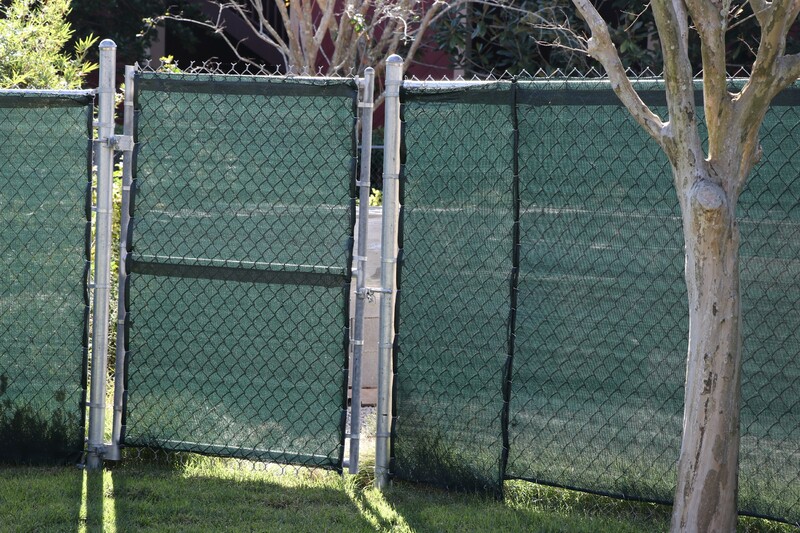 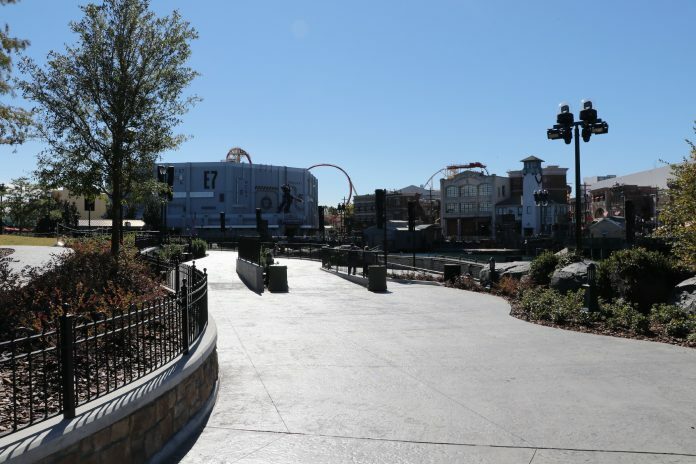 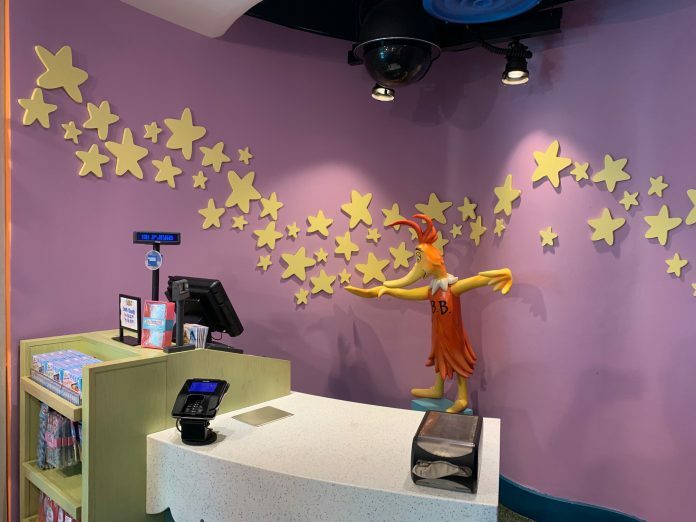 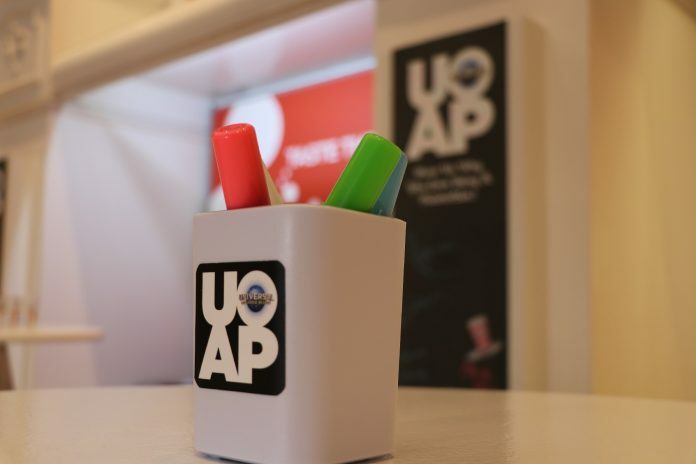 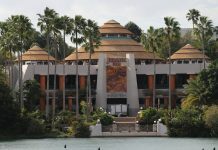 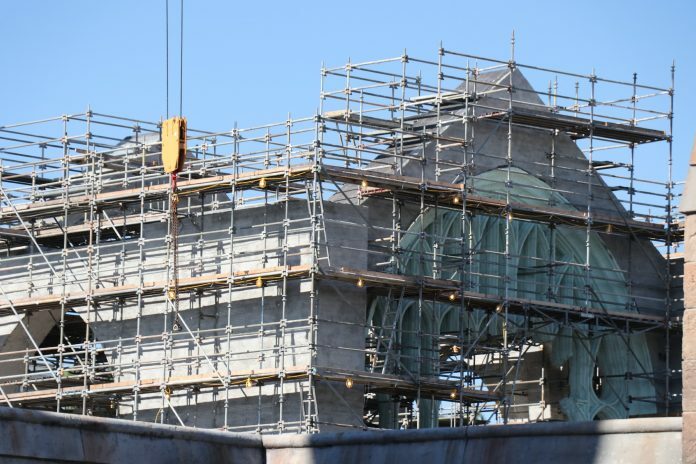 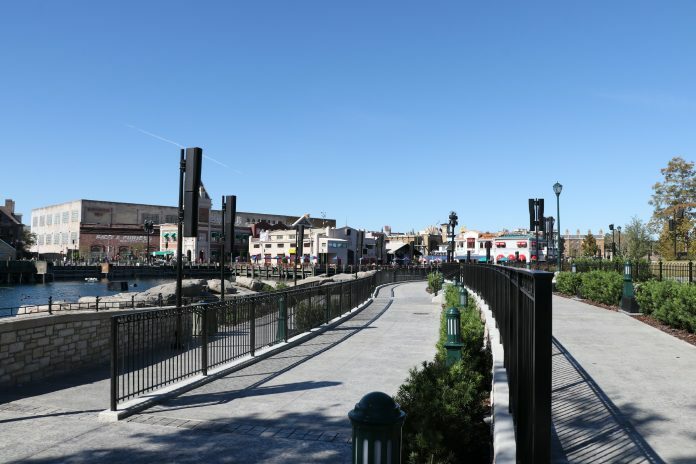 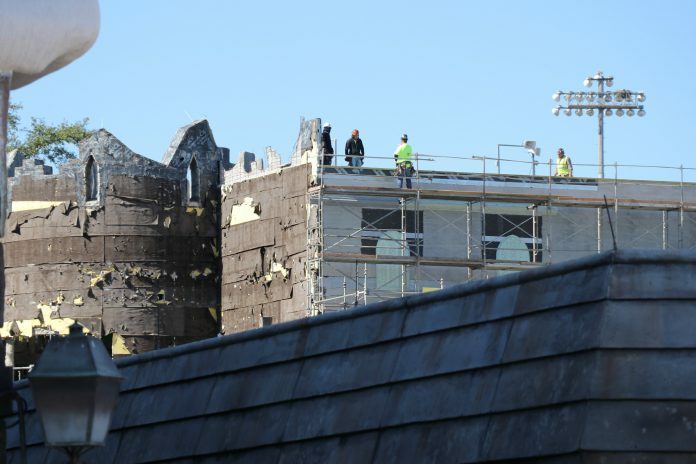 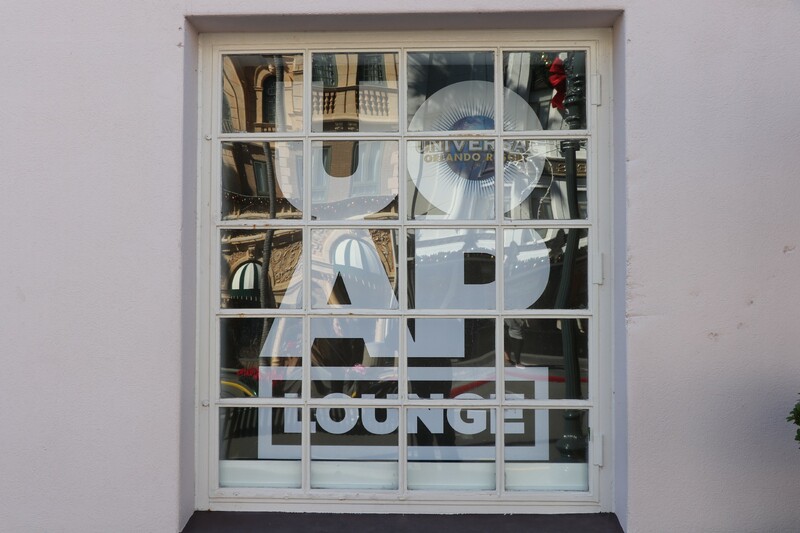 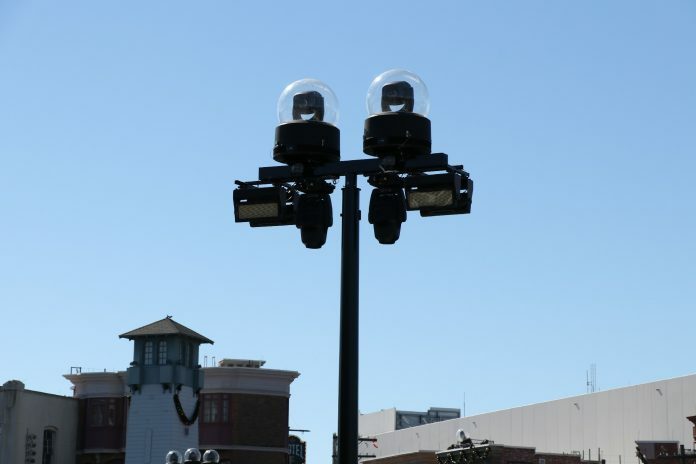 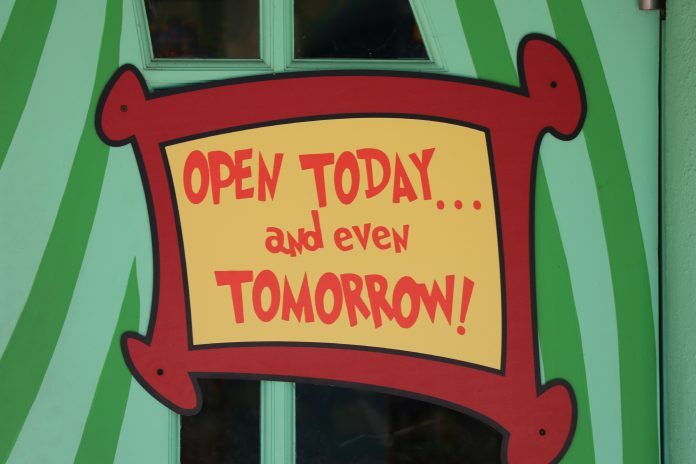 We’re back with an update around the Universal Orlando. 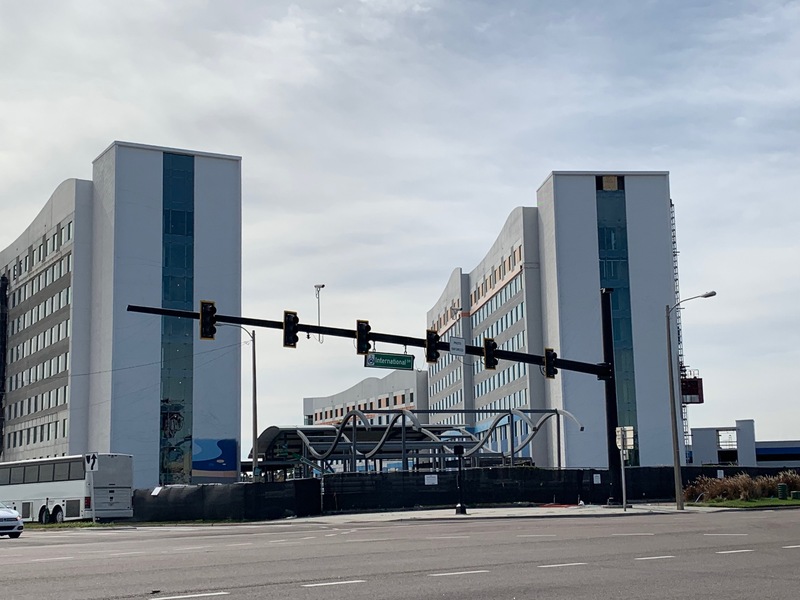 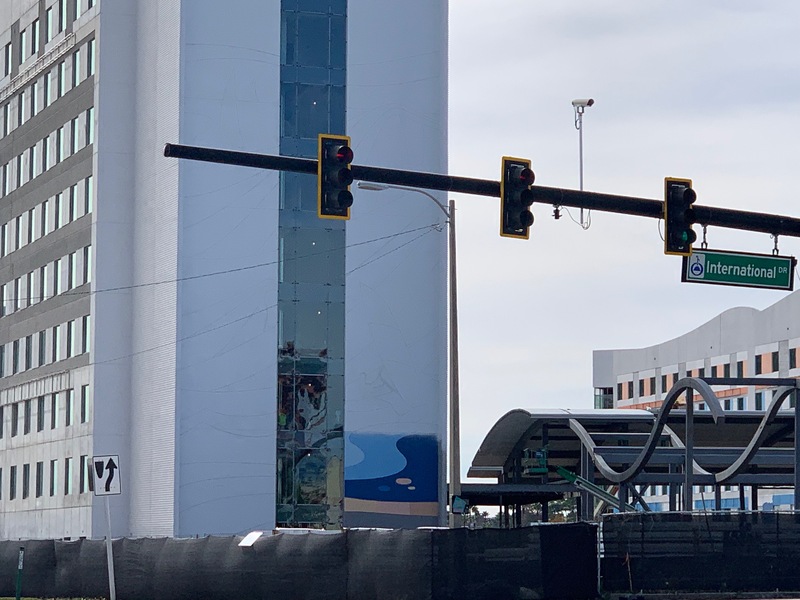 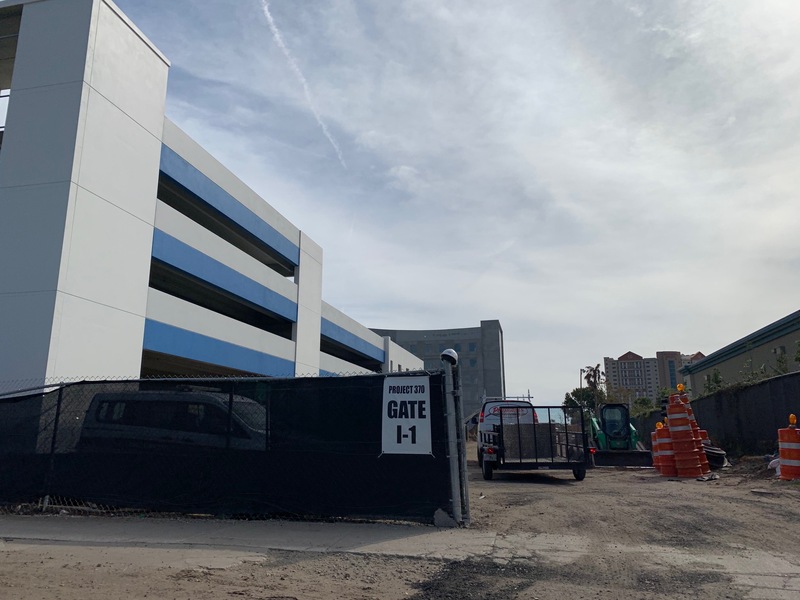 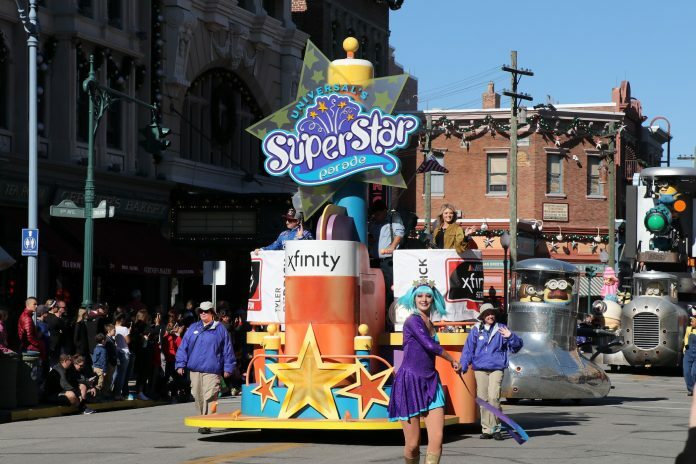 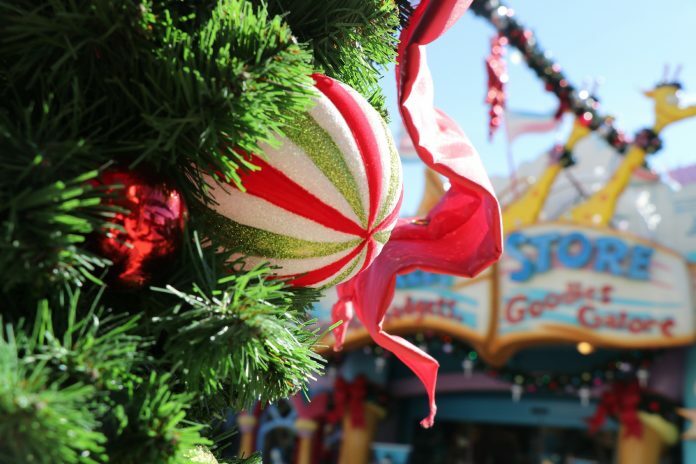 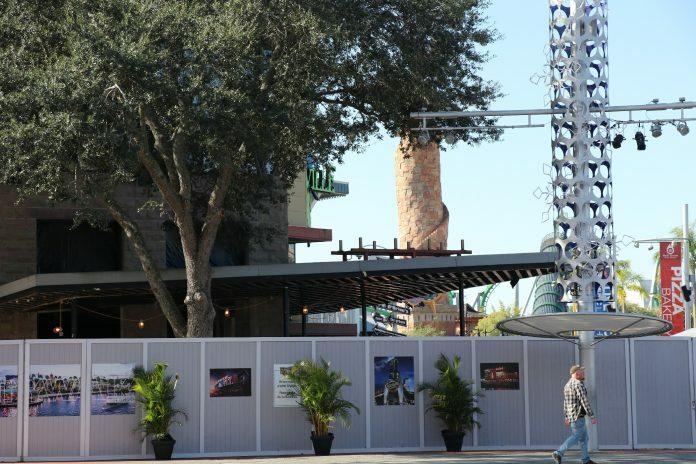 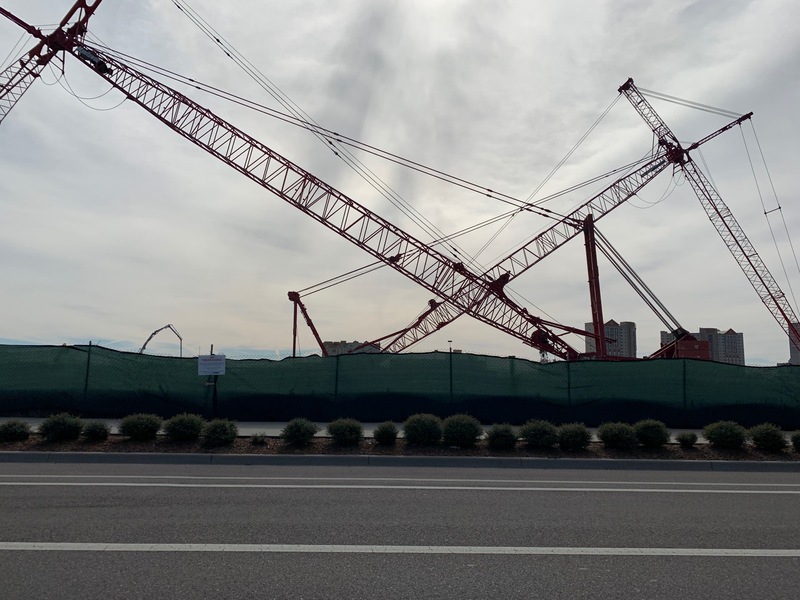 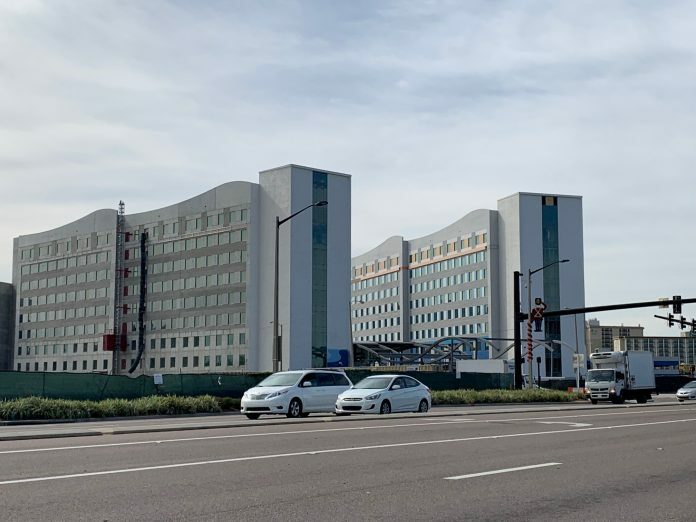 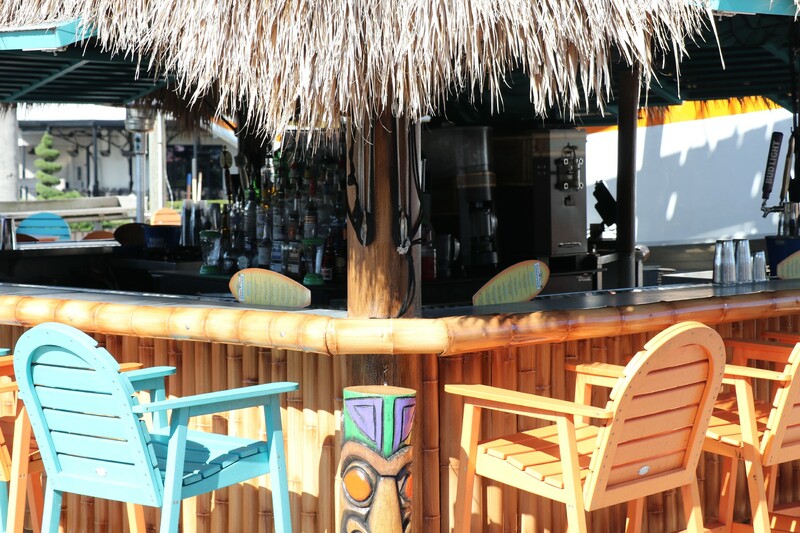 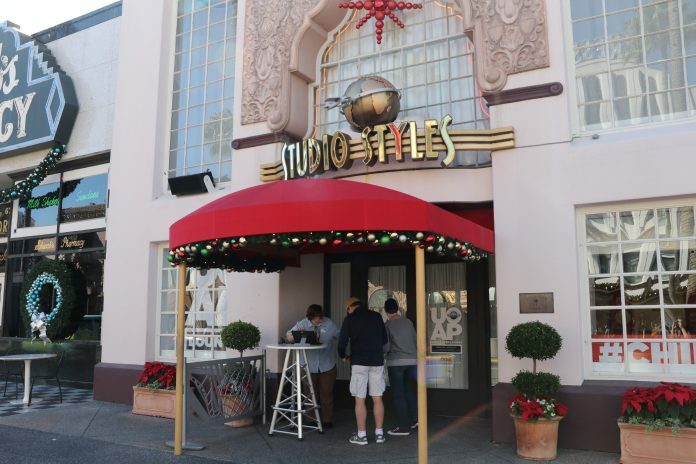 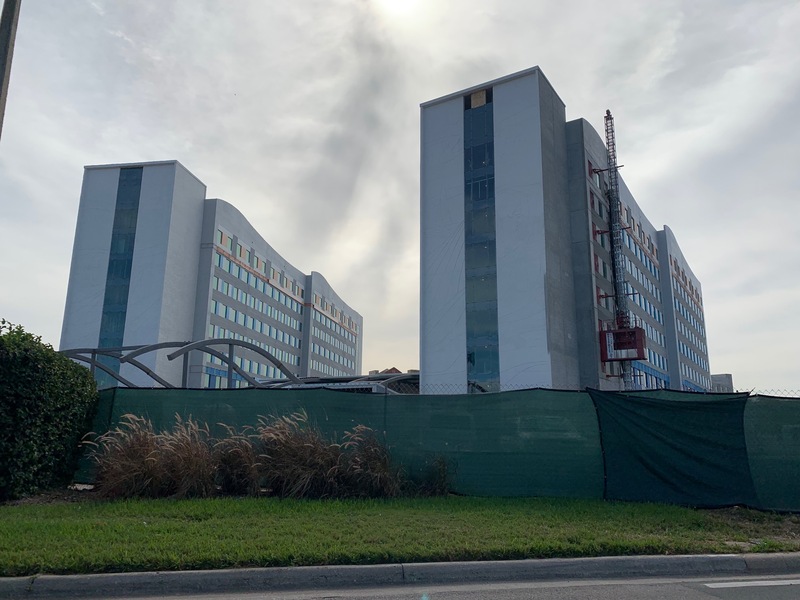 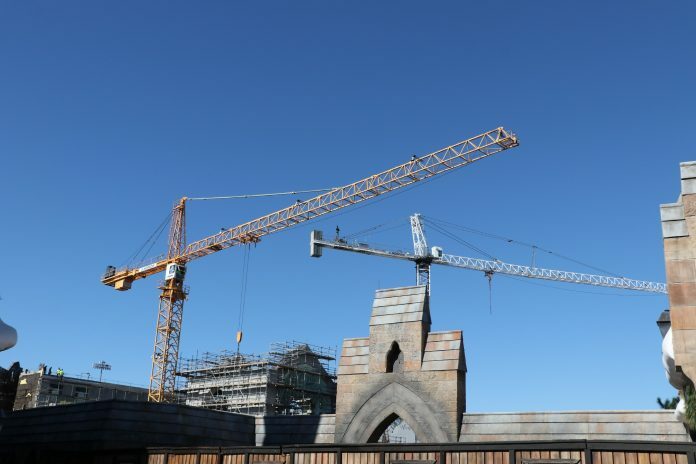 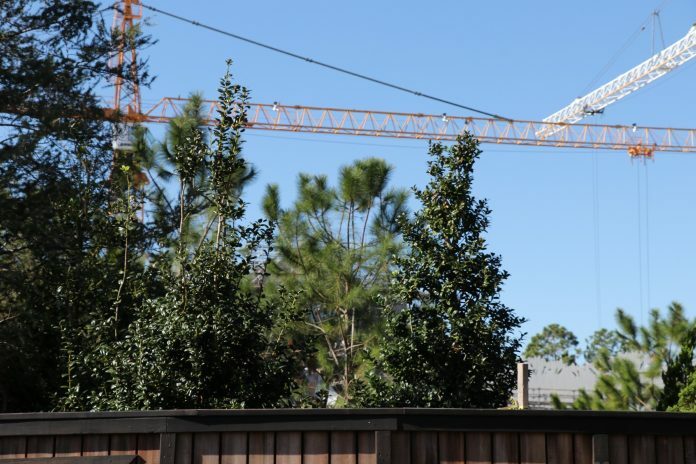 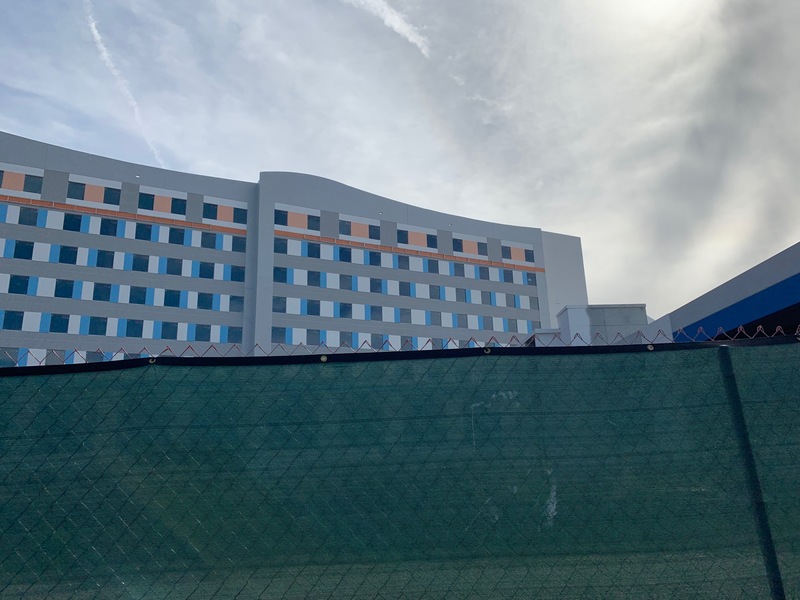 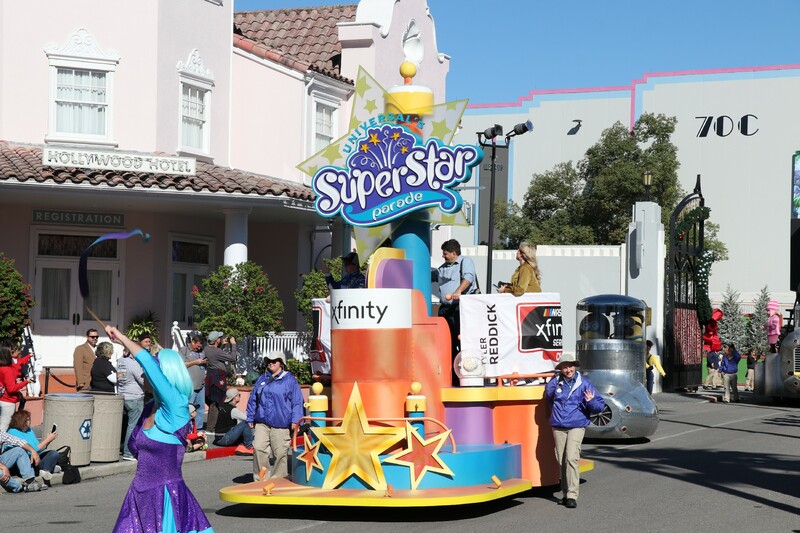 The Holidays are in full swing at Universal; with construction continuing on the major 2019 projects, such as the Harry Potter Coaster, and Endless Summer Resort – Surfside Inn & Suites. 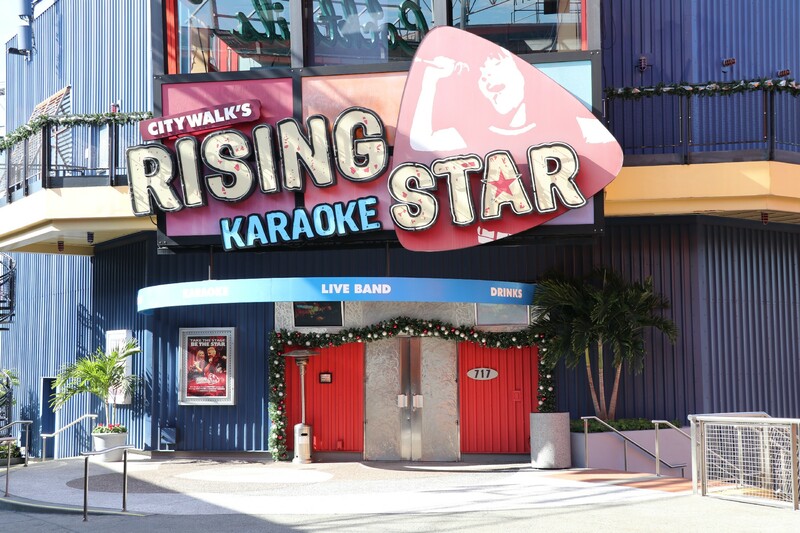 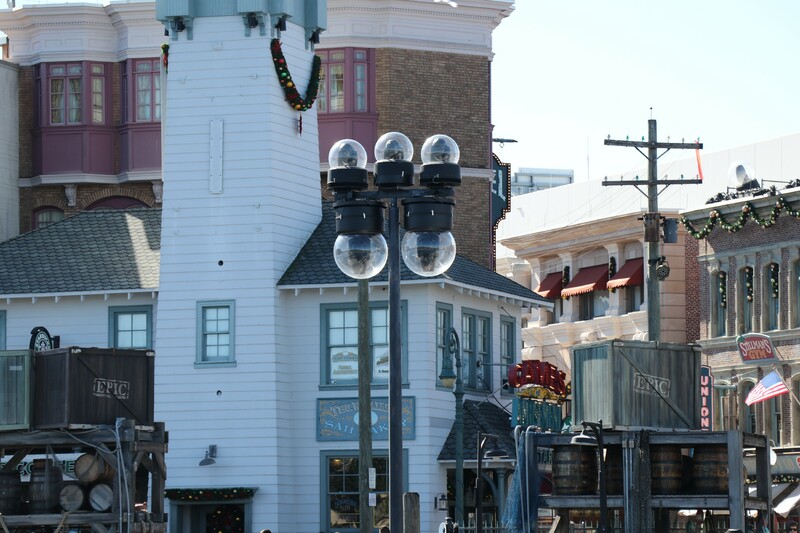 Small projects and updates are also happening around the Resort, especially CityWalk. 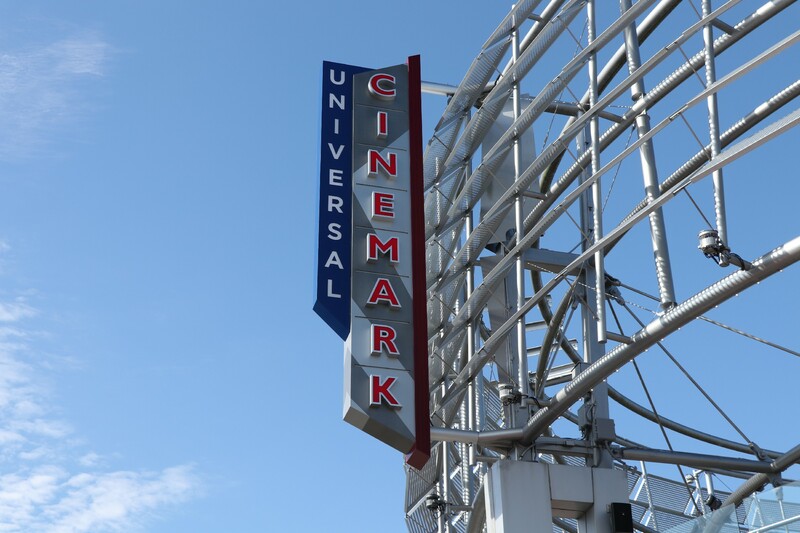 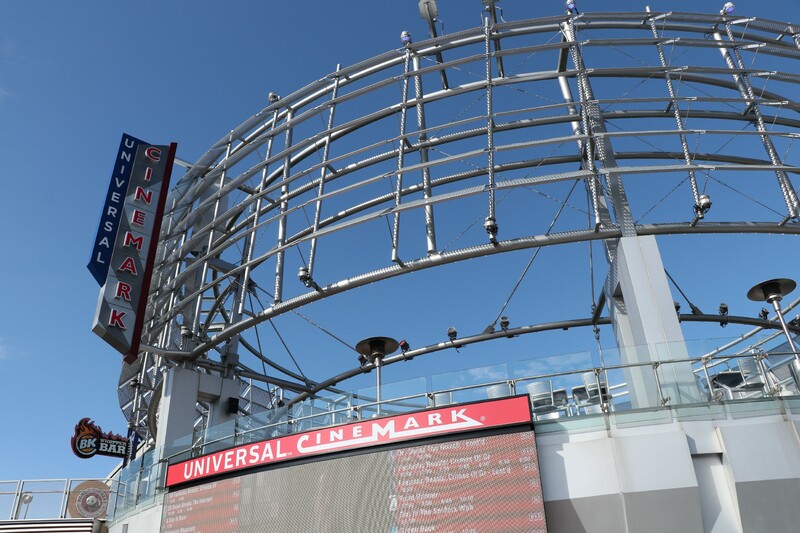 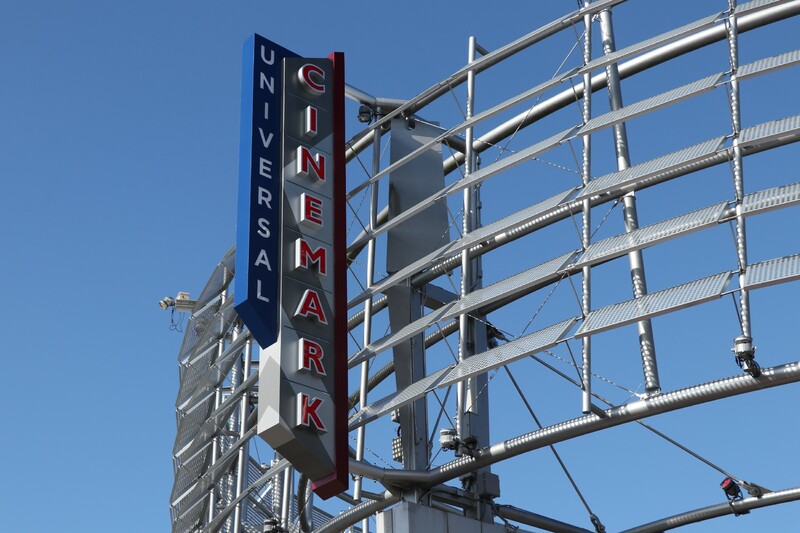 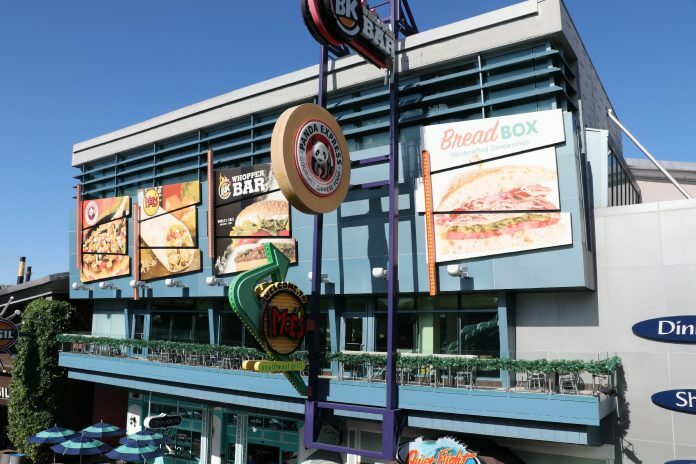 Over in CityWalk, the former AMC Theater’s conversion to Cinemark continues, as the theater received a new sign. 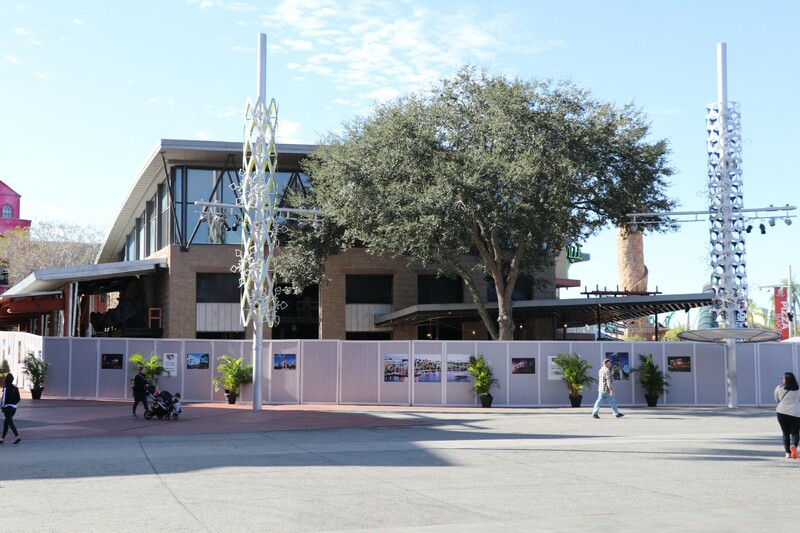 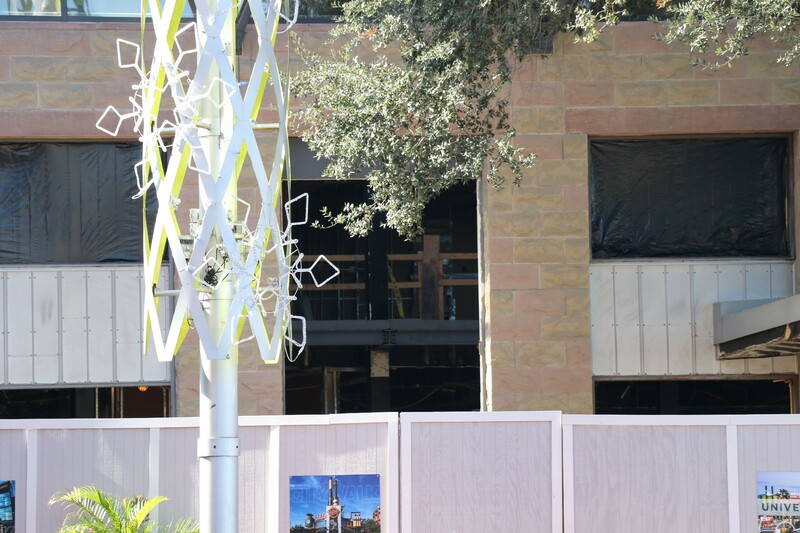 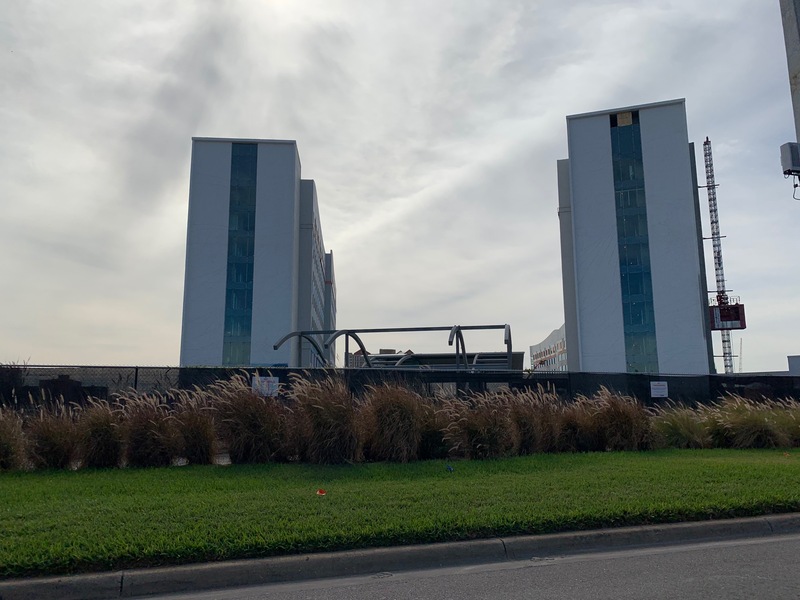 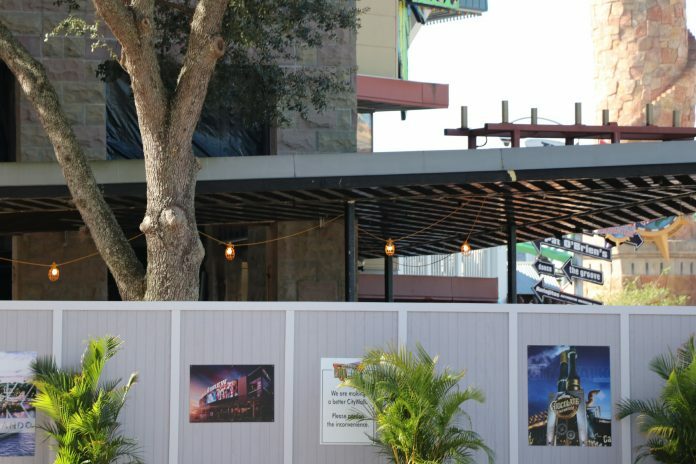 In addition, little visible progress has been made on the former Emeril’s restaurant, with still no details on a replacement. 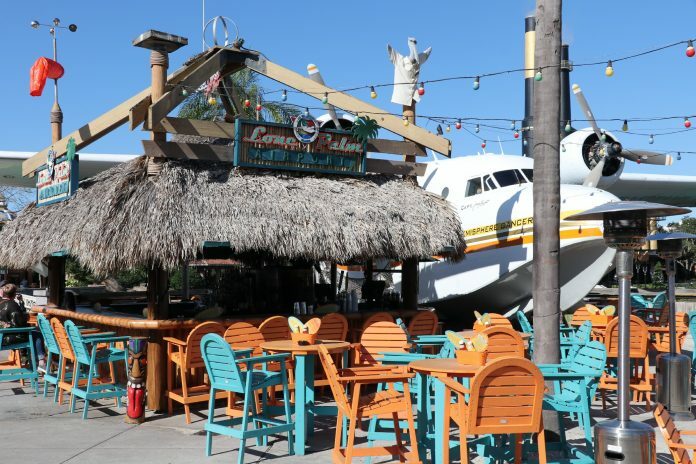 The Lone Palm Airport recently re-opened after a brief refurbishment. 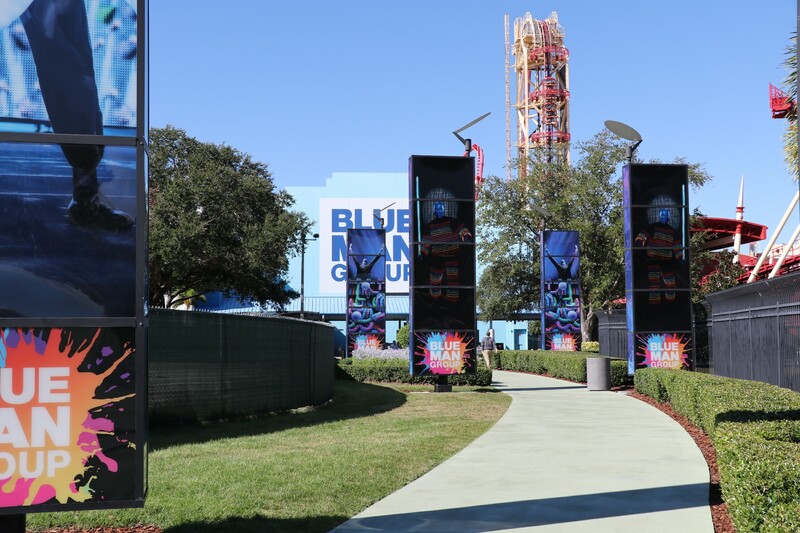 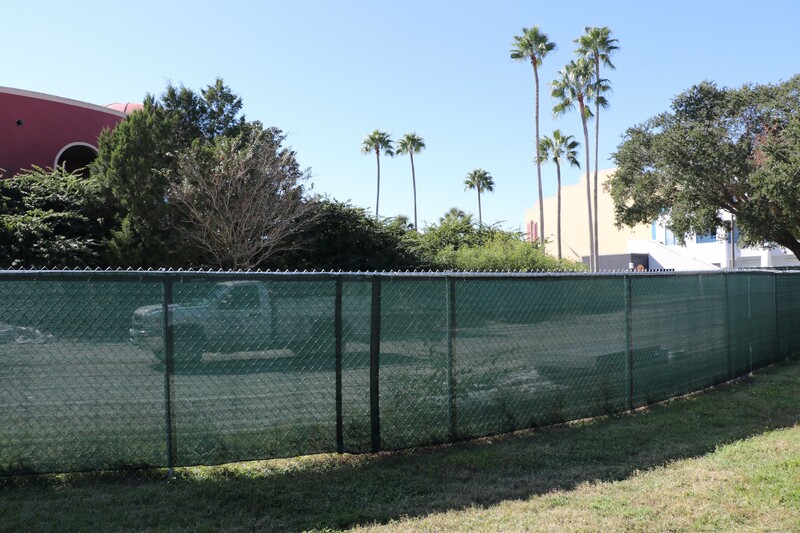 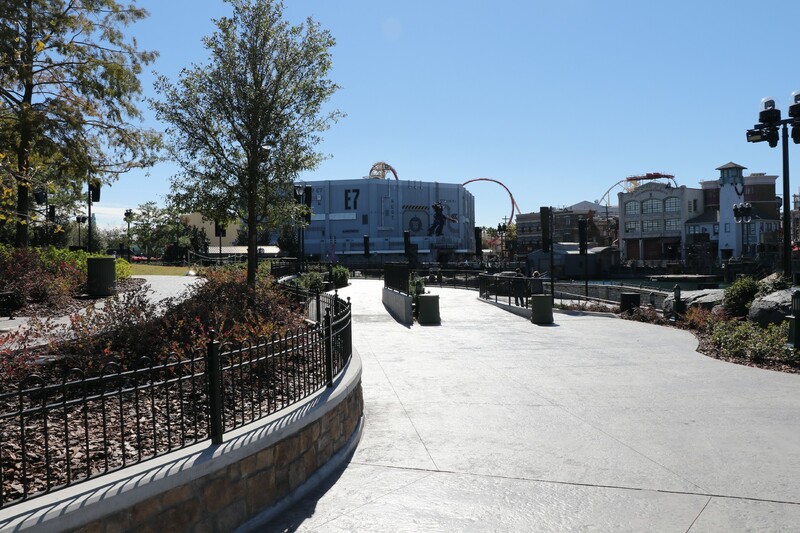 Over by Blue Man Group, land along the left of the walkway has been cleared, with construction seeming to start soon. 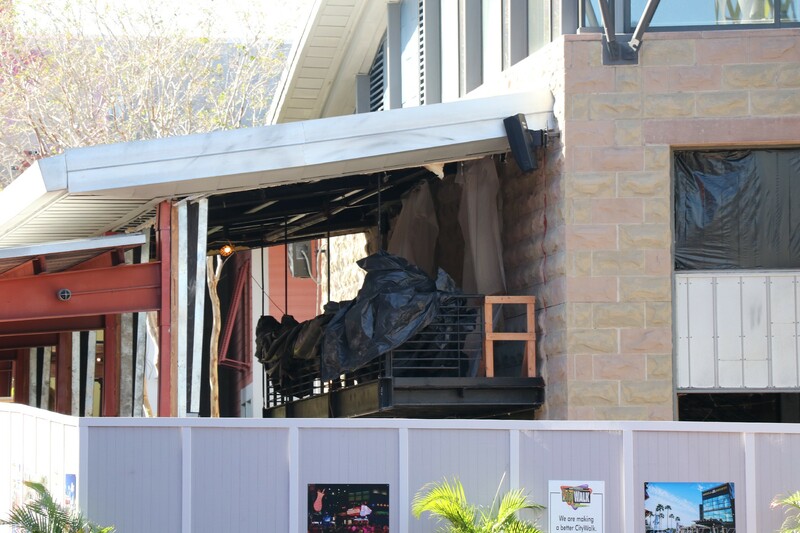 There has been no announcement or word as to what is coming to this area. 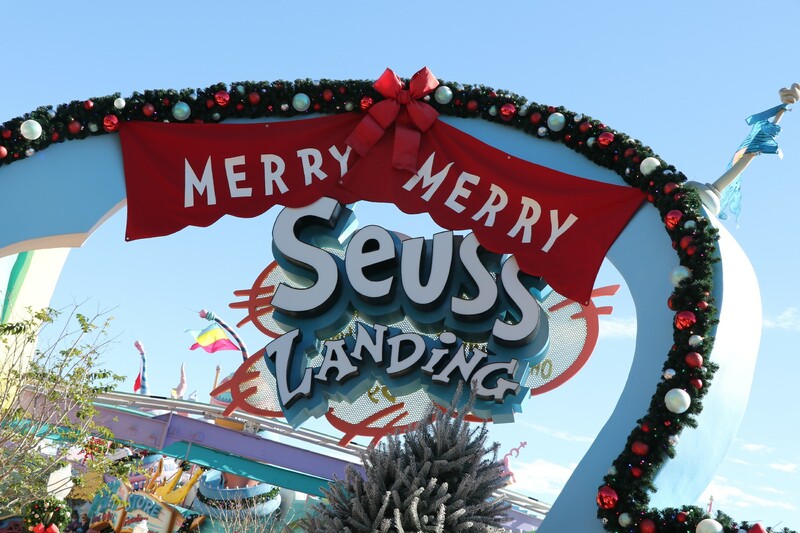 The Holiday season is well underway at Universal Orlando. 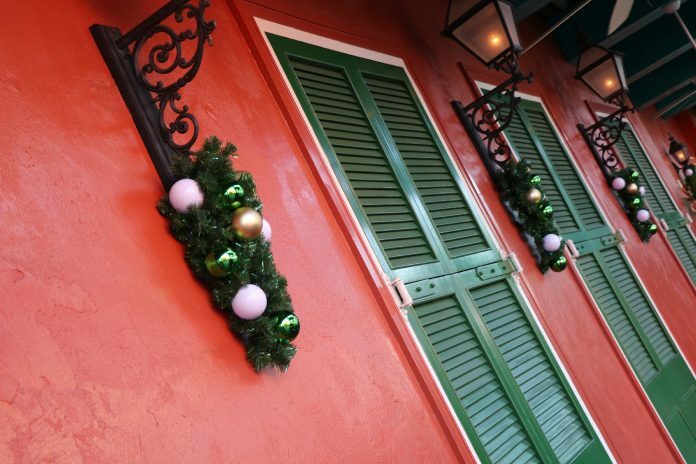 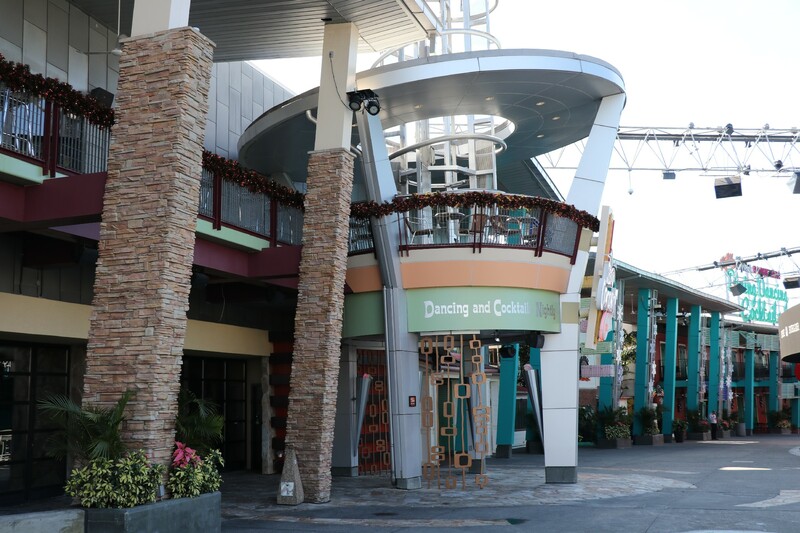 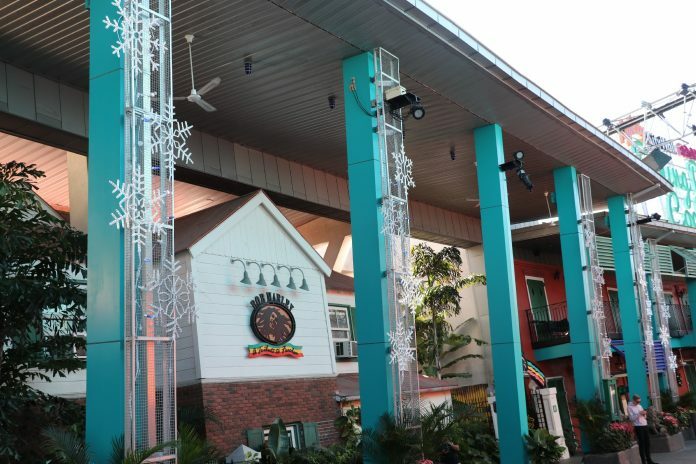 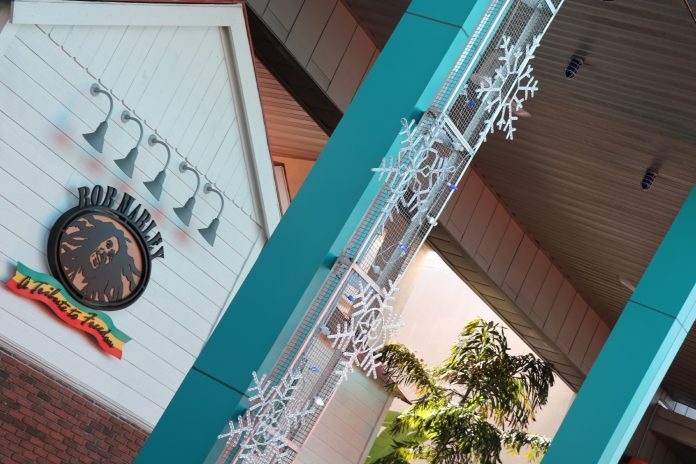 Over in CityWalk, many garlands and small decorations adorn the different restaurants and shops. 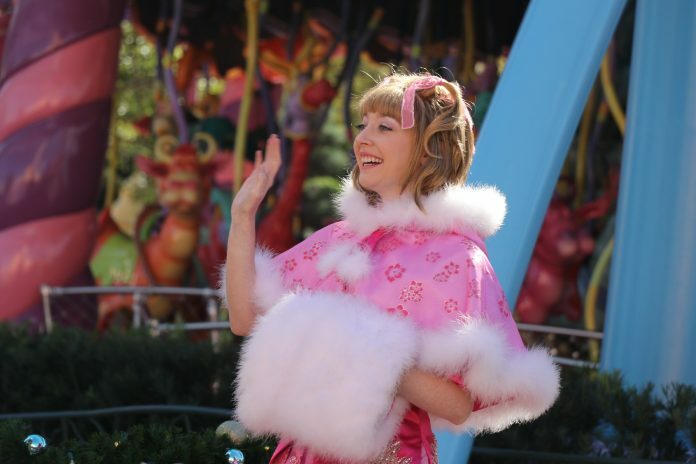 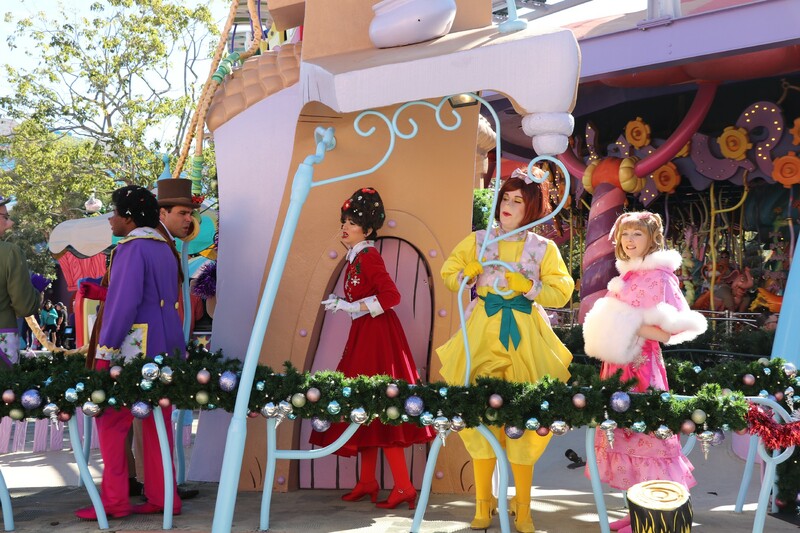 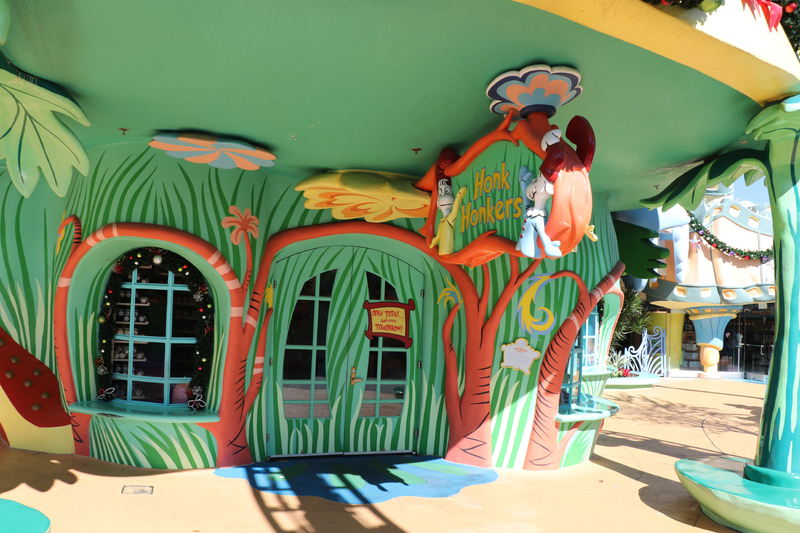 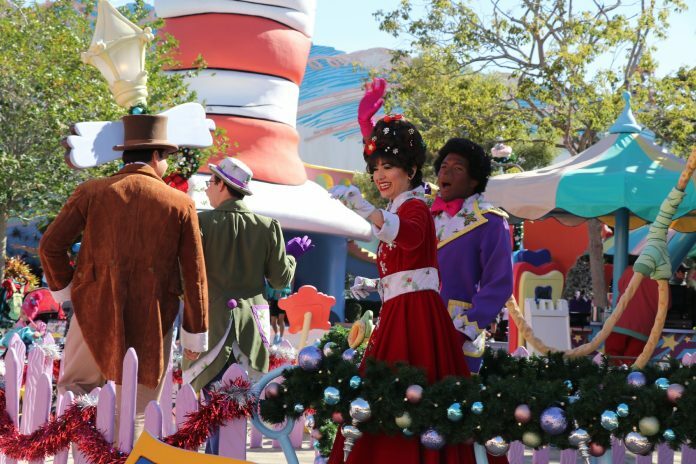 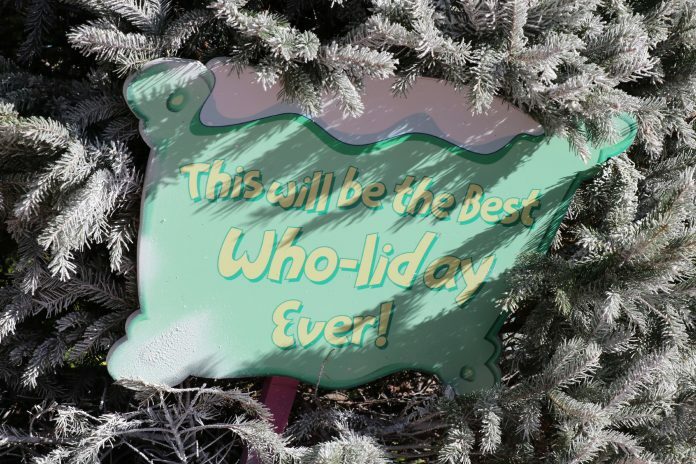 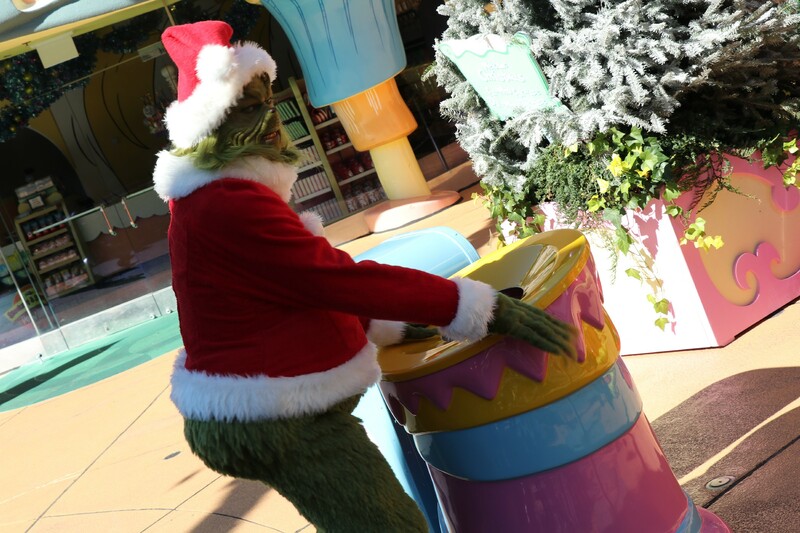 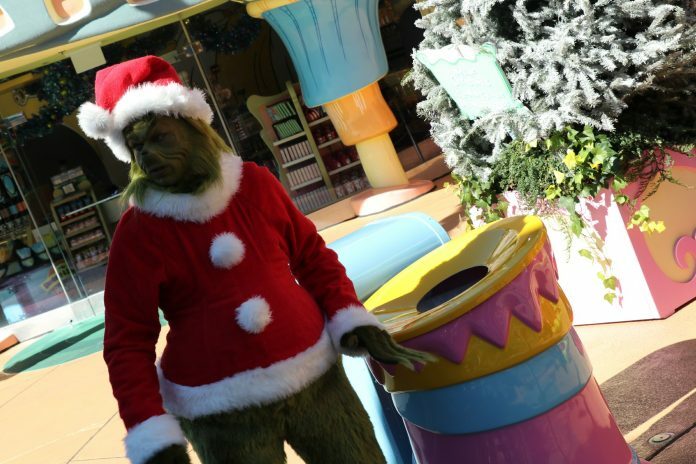 Over at Islands of Adventure, Grinchmas has started – so the Whos, along with a certain “Mean One”, are out interacting with guests in Suess Landing. 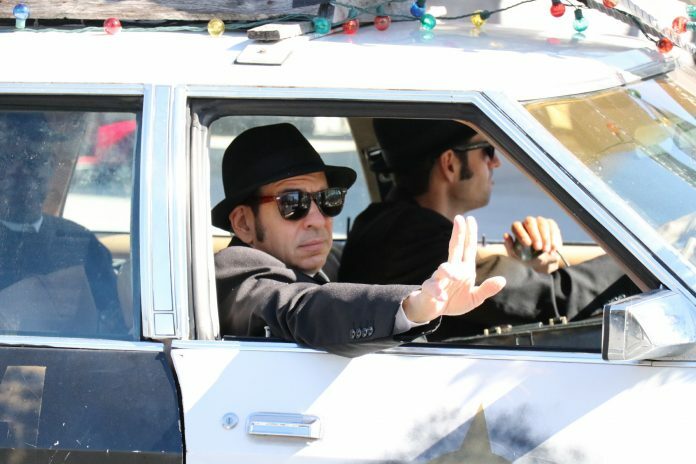 At Universal Studios Florida, The Blues Brothers are performing the Holiday version of their show. 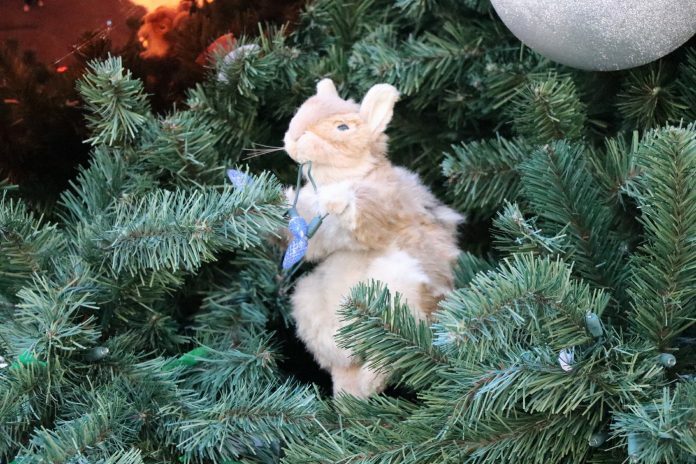 In addition, the hidden squirrel in New York’s Christmas tree has been located! 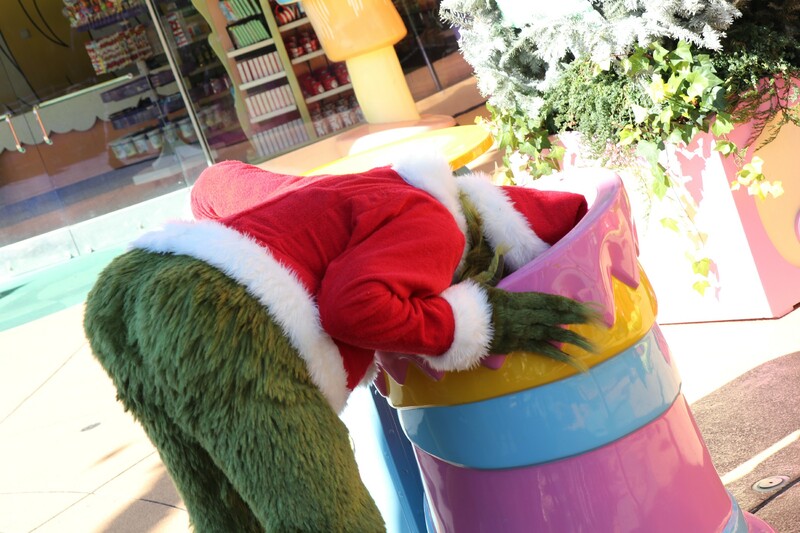 Have you found the critter, yet? 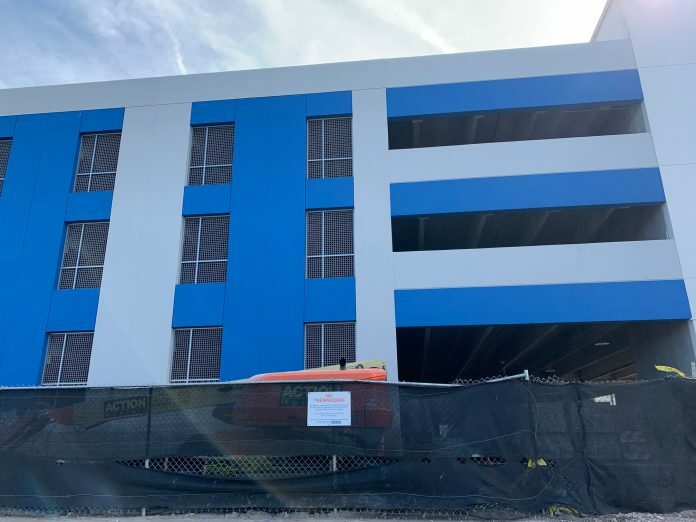 Painting continues on the Surfside section of the Endless Summer Resort, including the parking garage. 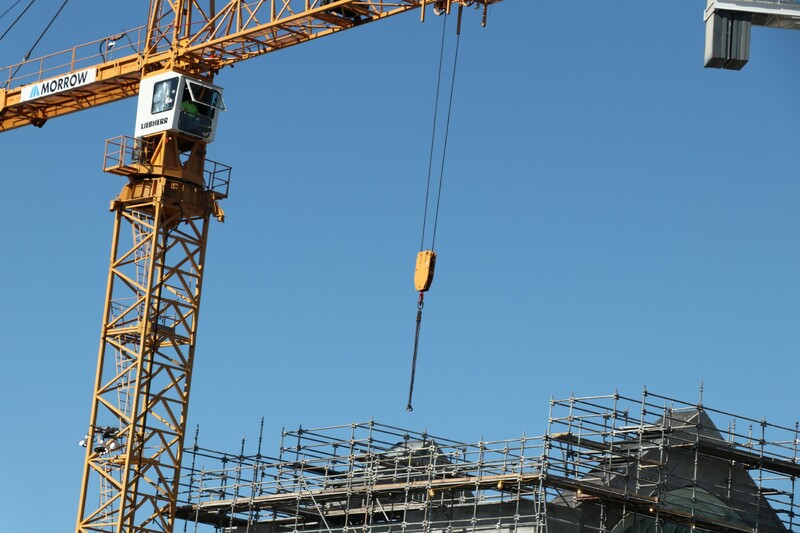 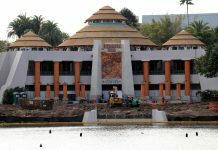 The entrance structure has also been erected. 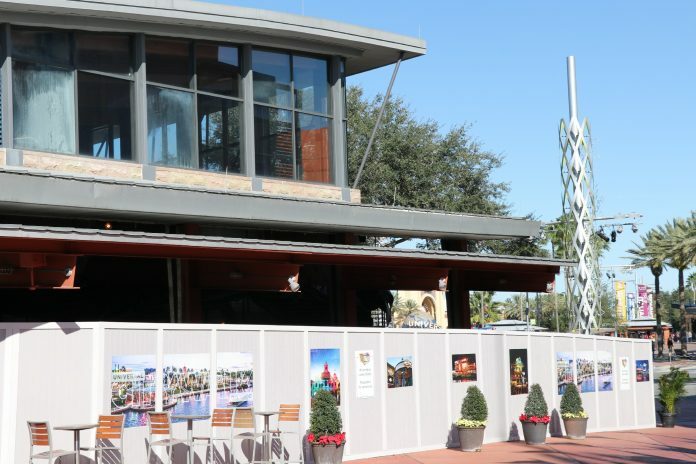 Over at Dockside, land has been cleared, but no vertical progress has started. 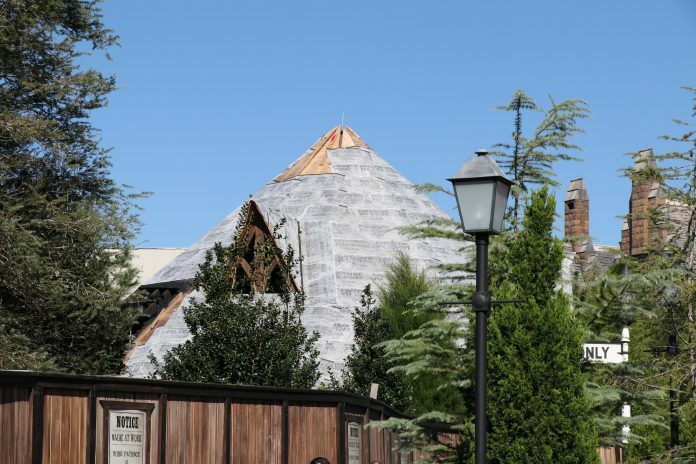 The new attraction is coming along, slowly, but steadily. 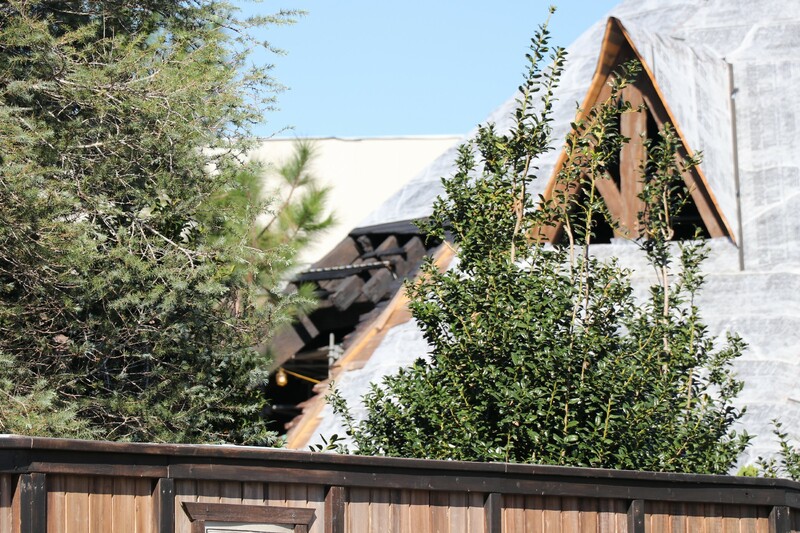 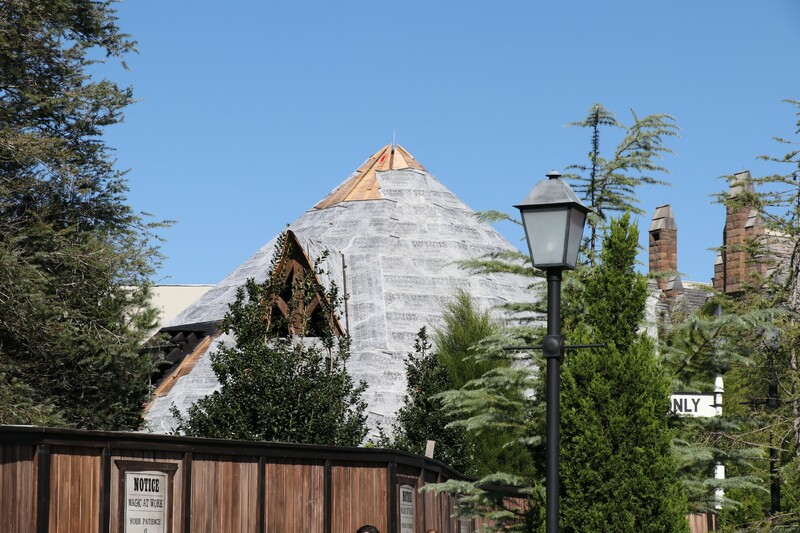 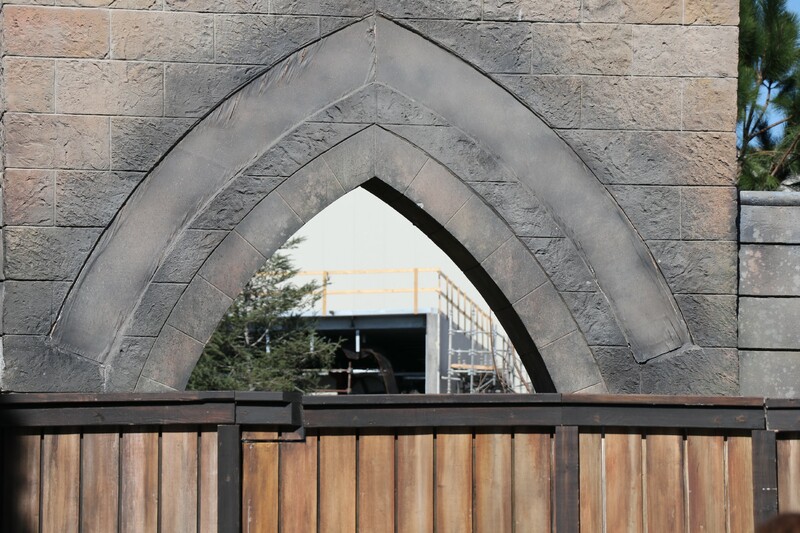 Most of the construction is blocked off by trees now, so the only bits of progress we can see is the former castle queue, the new abbey, and the hut. 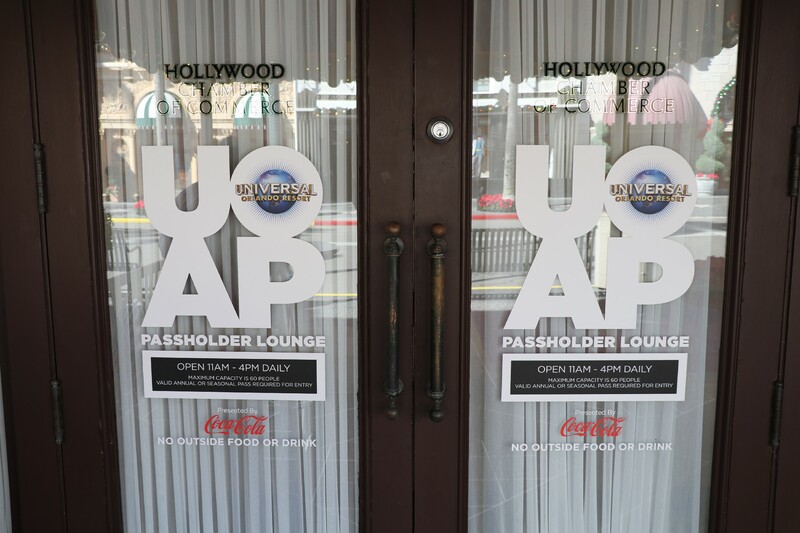 The new Passholder lounge is open for a limited time during the Holidays. 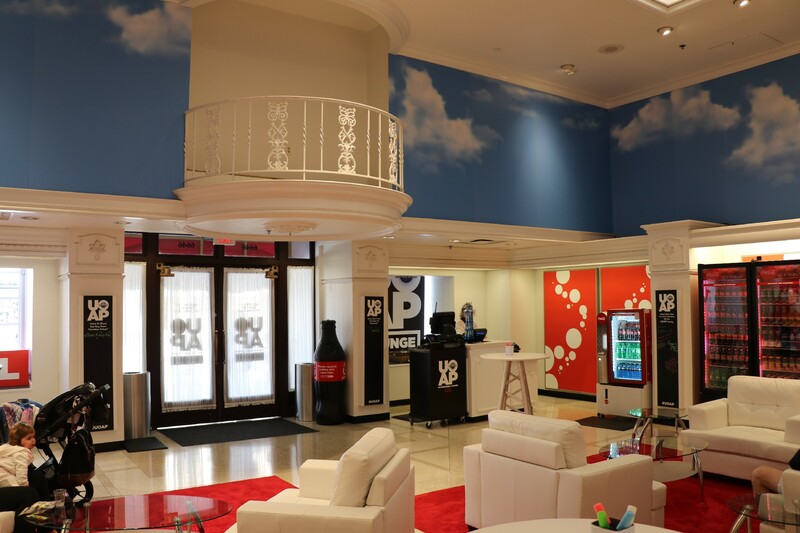 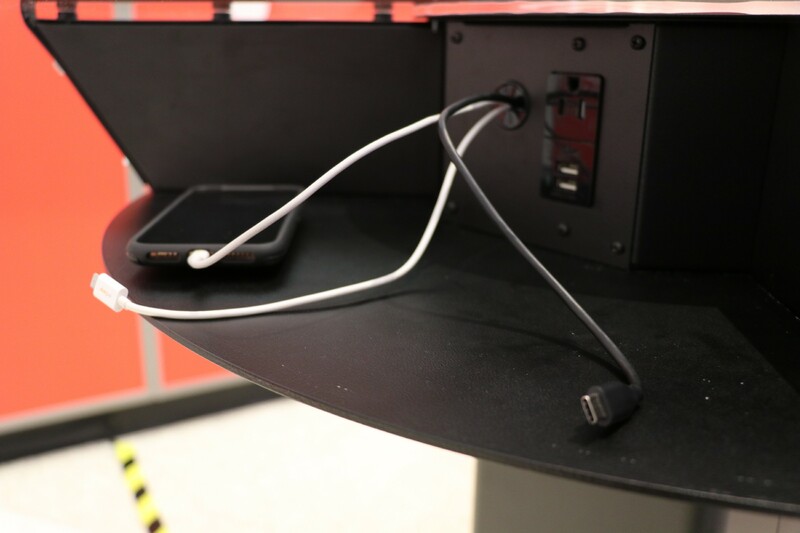 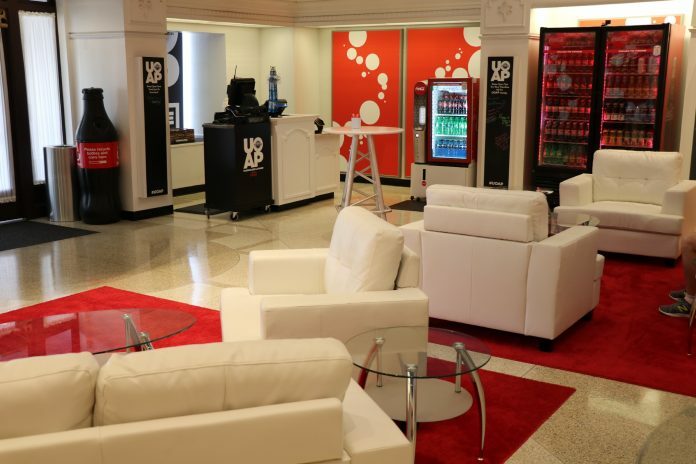 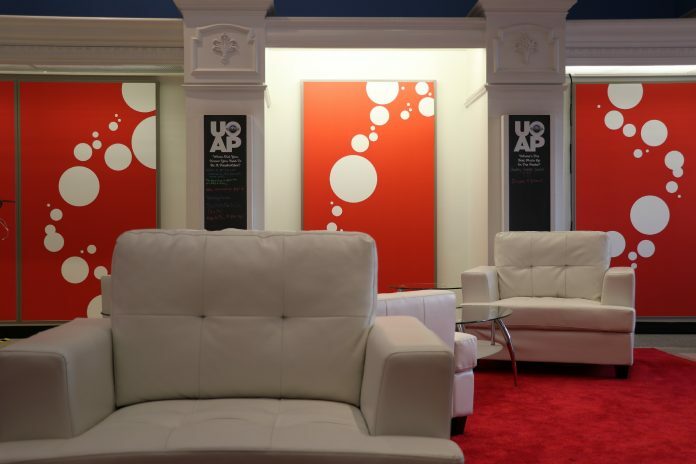 The lounge offers a spot to sit and relax, with complimentary phone chargers and snacks. Amongst the columns, there are chalkboards where guests can write messages and tips. 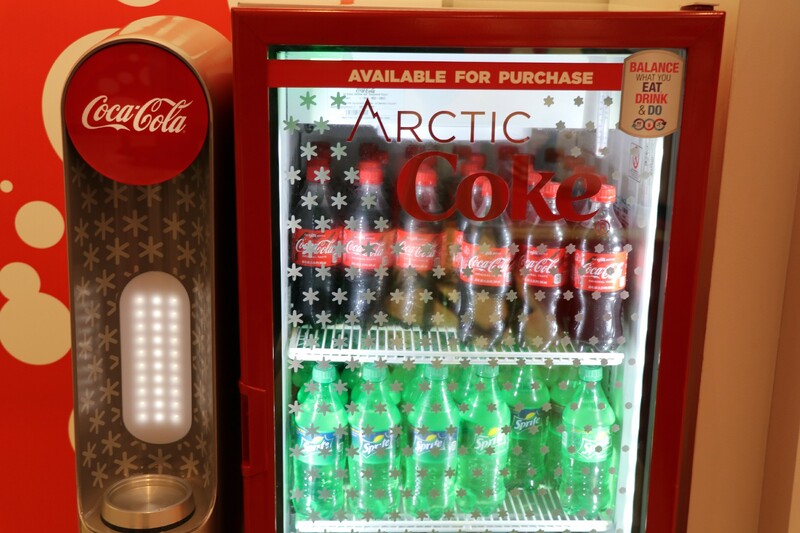 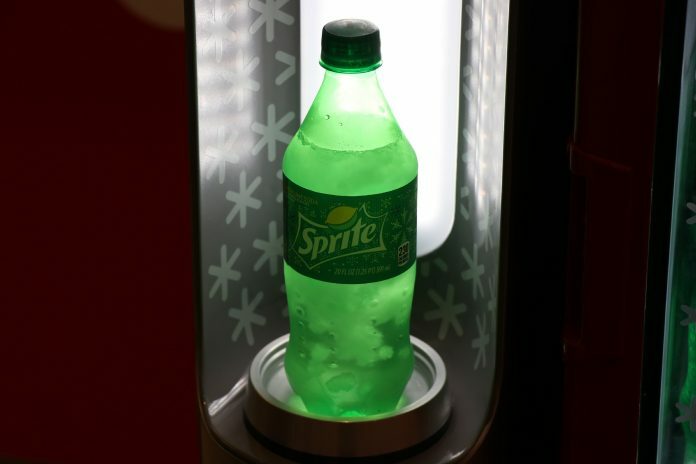 A cool (no pun intended) feature is the new Arctic Coke machine, which turns 20oz drinks into slushies. 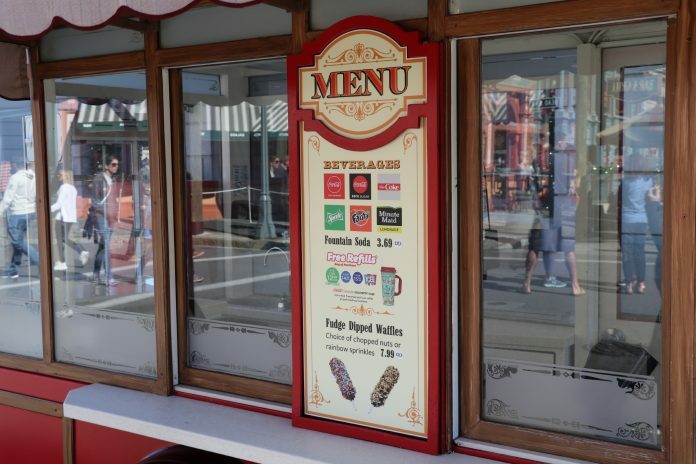 Unfortunately, drinks are not complimentary. 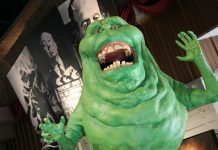 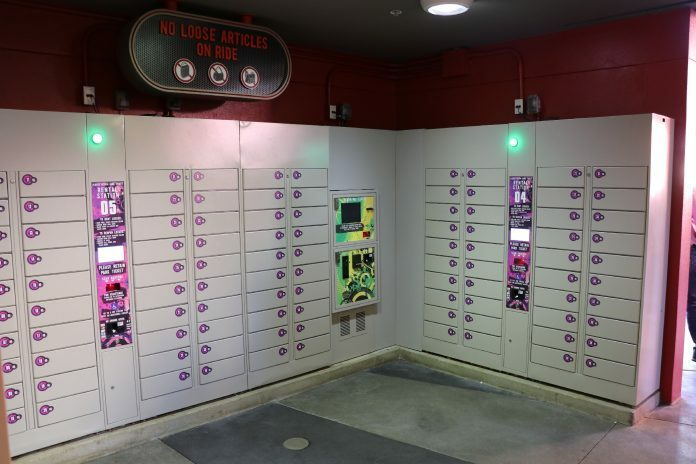 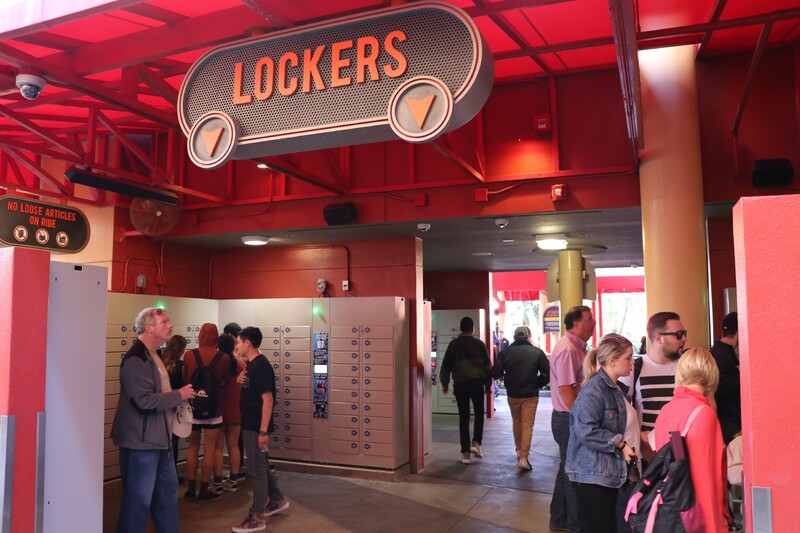 Hollywood Rip Ride Rockit and Men in Black: Alien Attack are the latest attractions to get updated lockers. 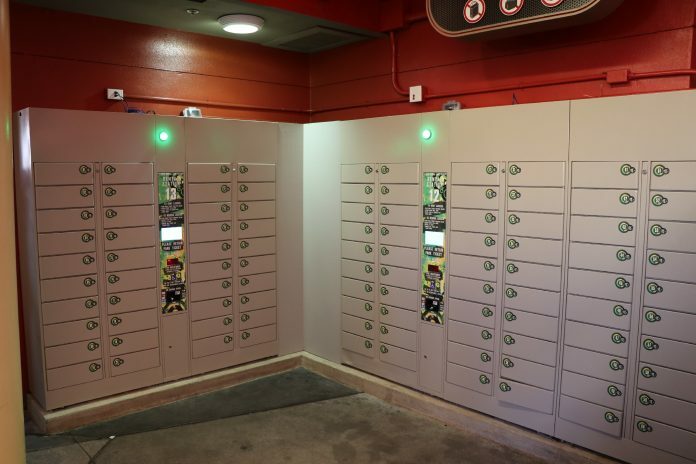 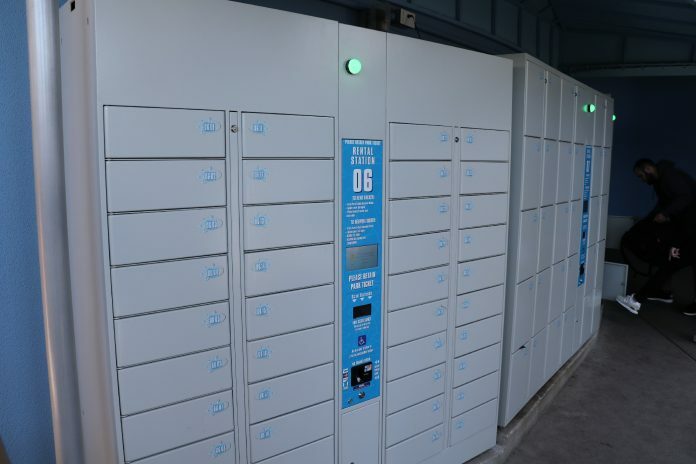 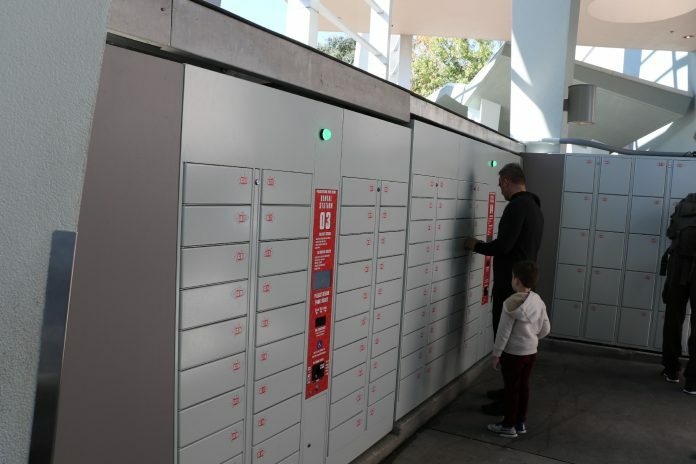 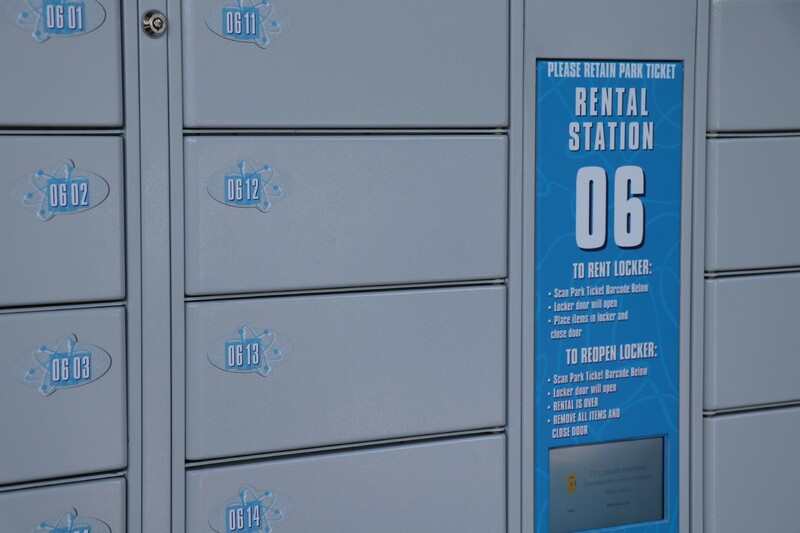 The new system uses your park ticket to rent a locker. 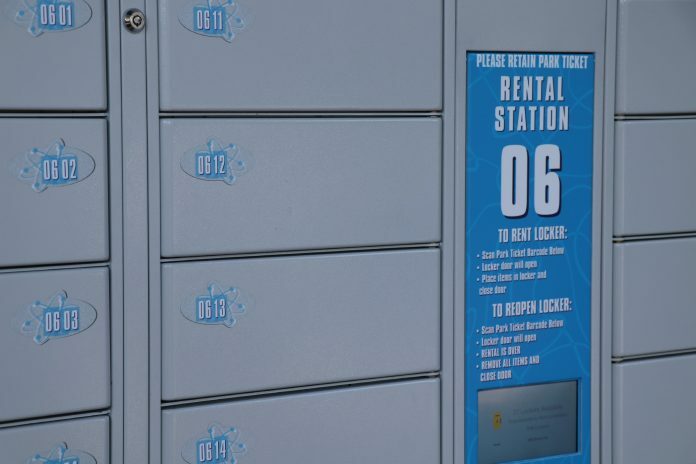 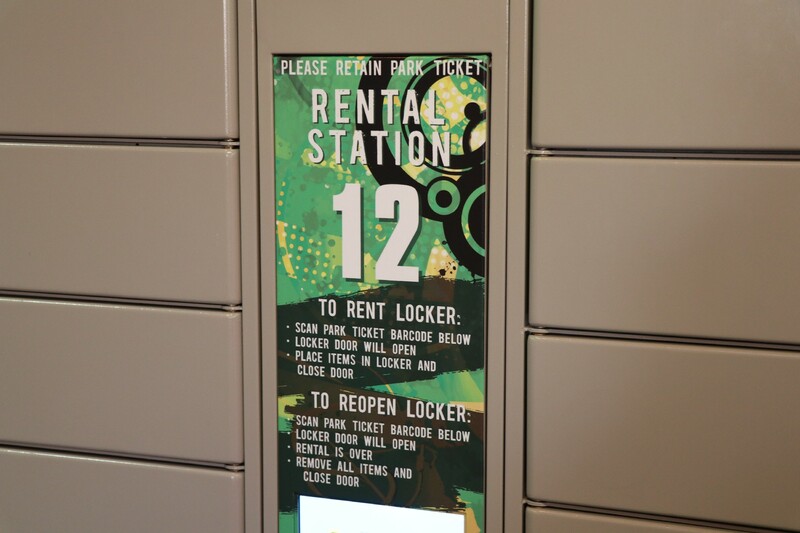 If you have a mobile ticket, you need to find a locker attendant who provides a temporary QR code to rent one. More attractions are expected to be converted in the future, with Harry Potter and the Escape from Gringotts currently being worked on now. 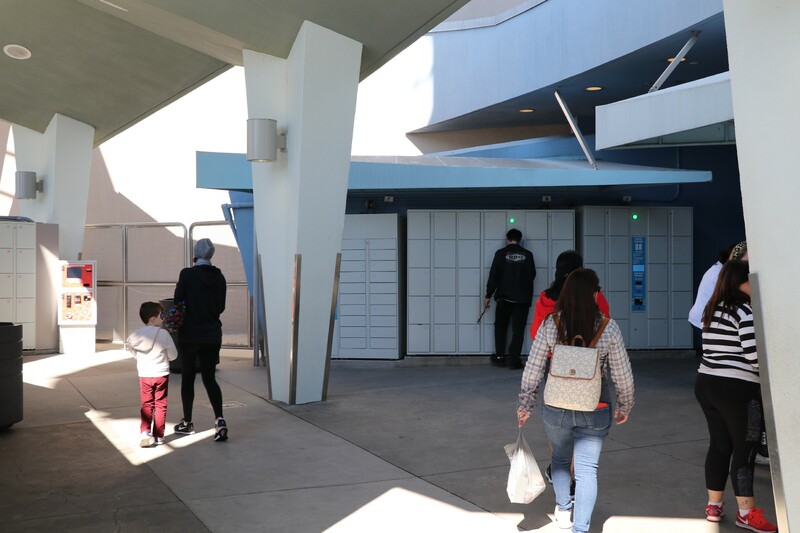 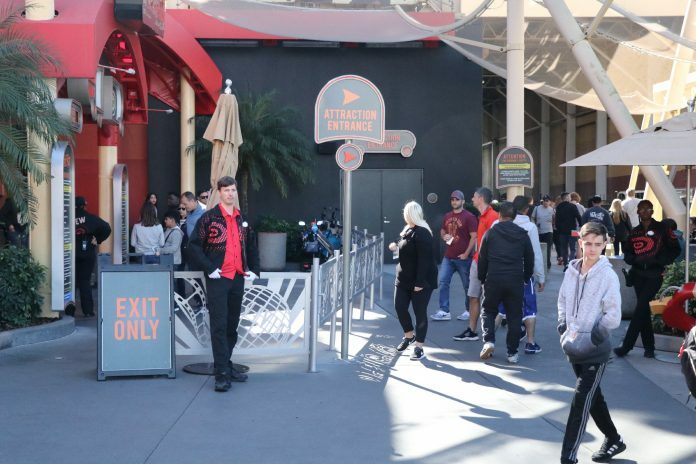 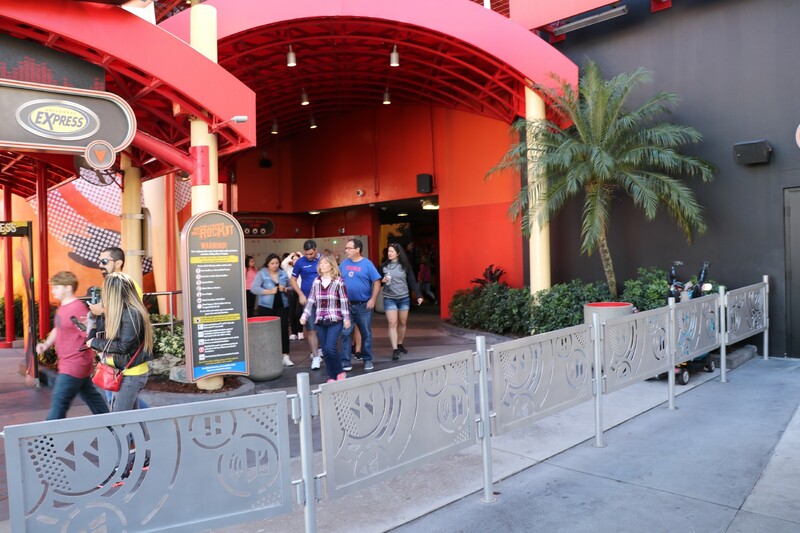 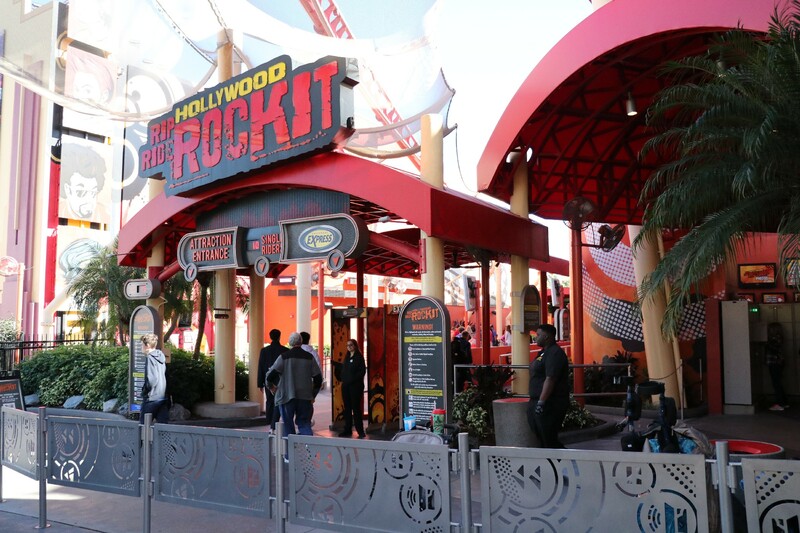 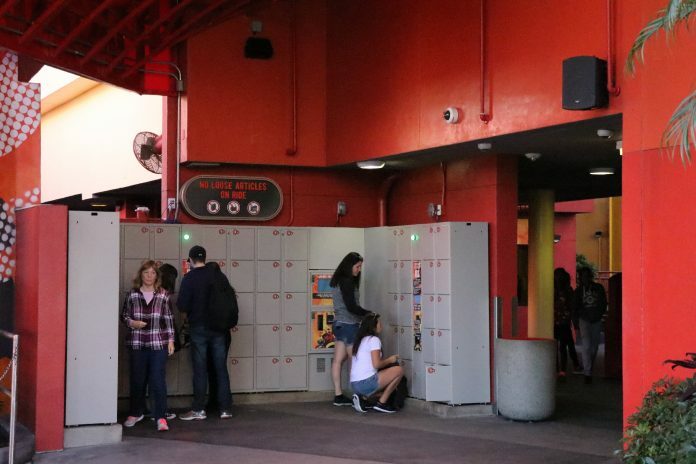 In addition, Rockit has rearranged the traffic flow of the entrance, now forcing guests to the right to rent a locker first before entering the queue. 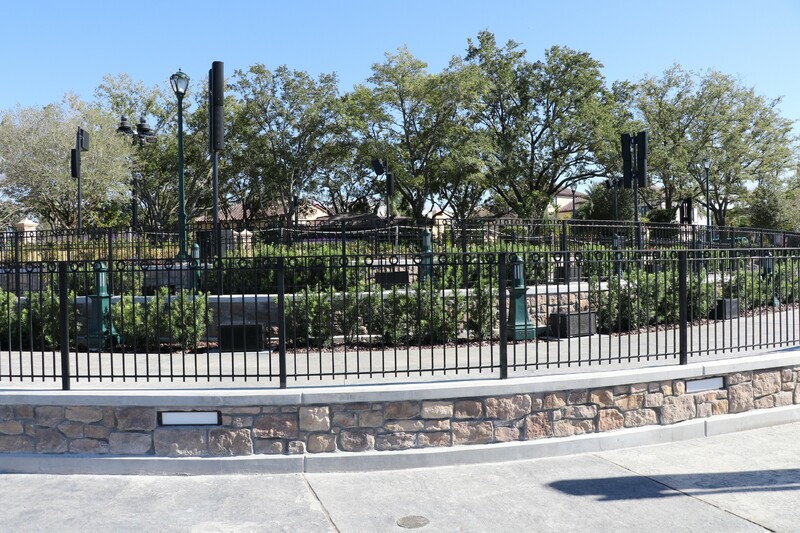 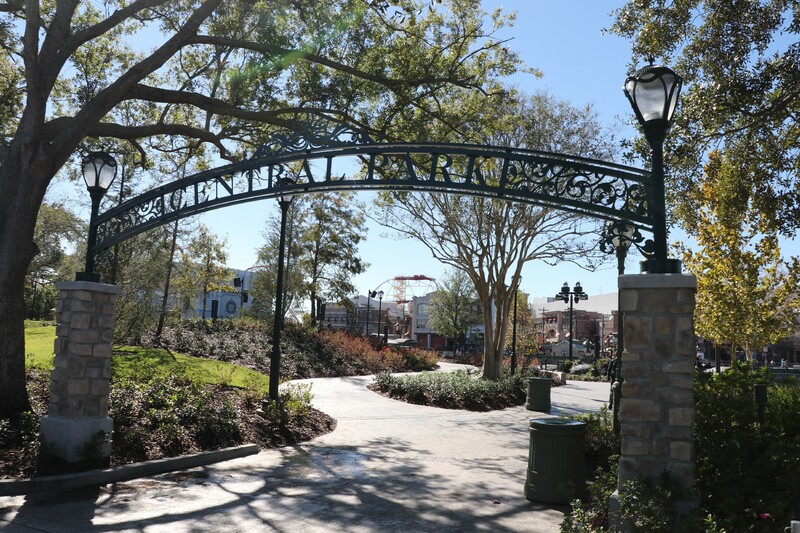 Central Park is now open during the day for guests to walk around and enjoy after Universal has completed and finished the updates to the new nighttime show. 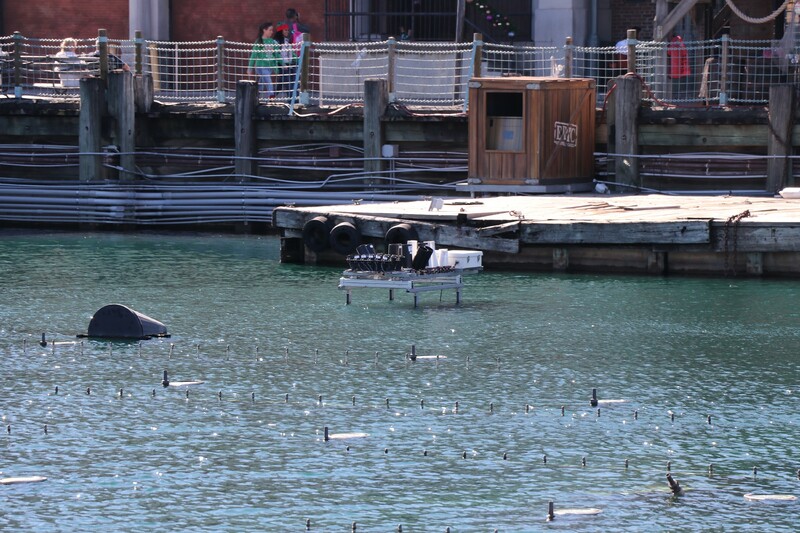 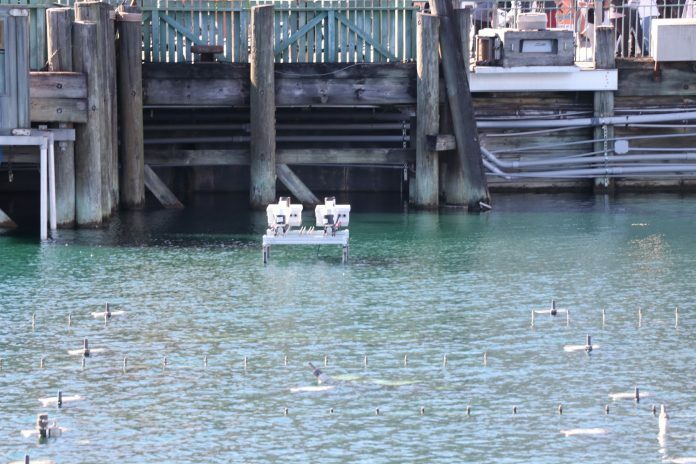 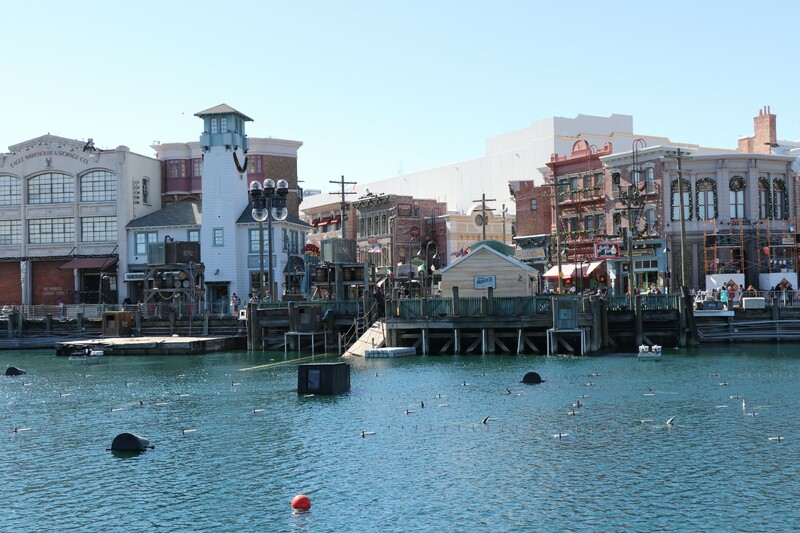 Since its premiere back in July, Universal has finished the lighting and pyro tech around the lagoon, making more permanent structures. 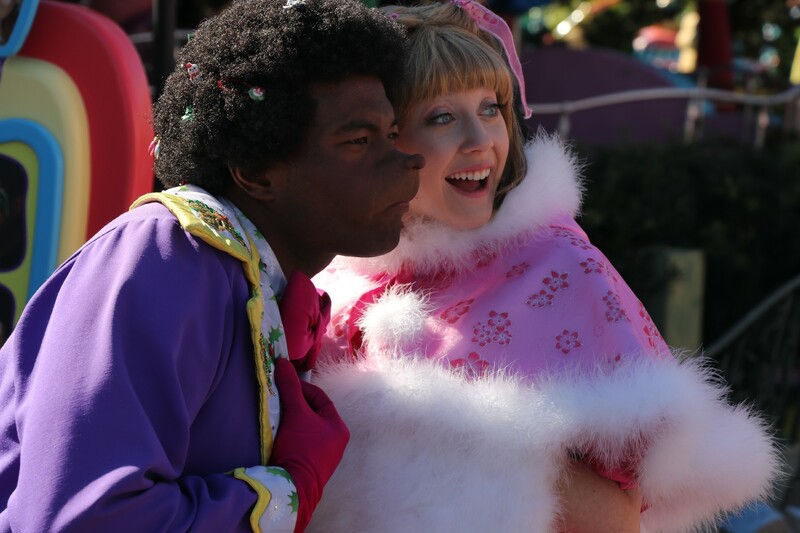 The show itself received minimal changes, with some scenes cut to tighten up the show’s flow. 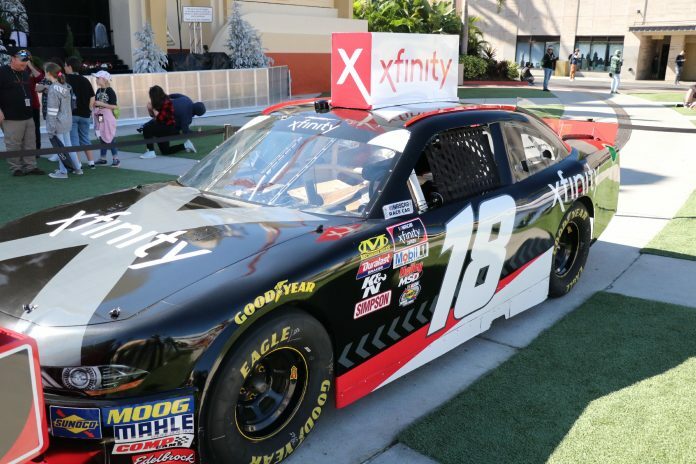 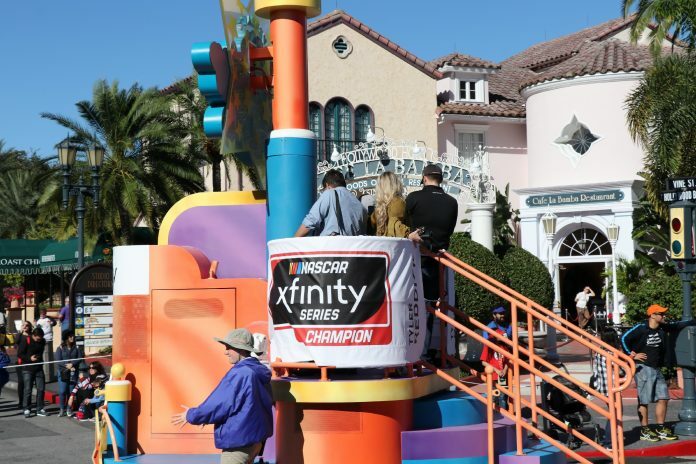 2018 NASCAR Xfinity Series champion Tyler Reddick was at the park on Tuesday courtesy of Comcast to celebrate winning the Series Cup in his first year. 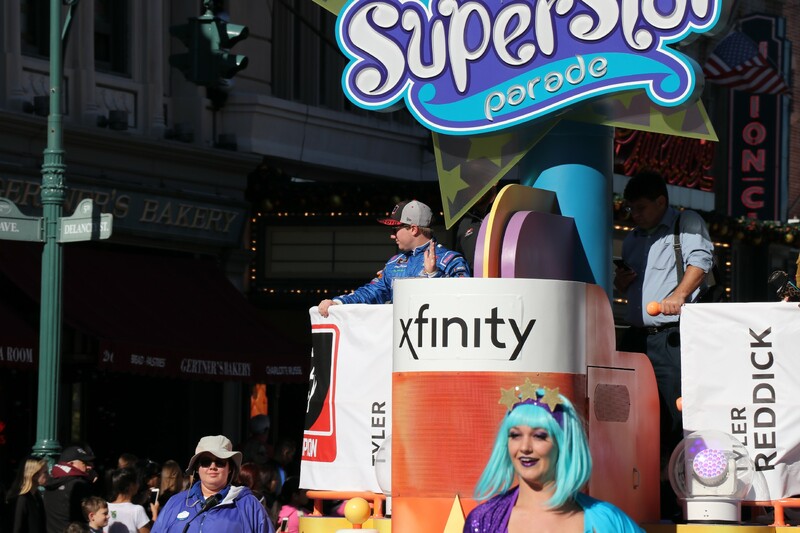 Reddick served as Grand Marshall of the Superstar Parade, as well as signed autographs for guests afterward. 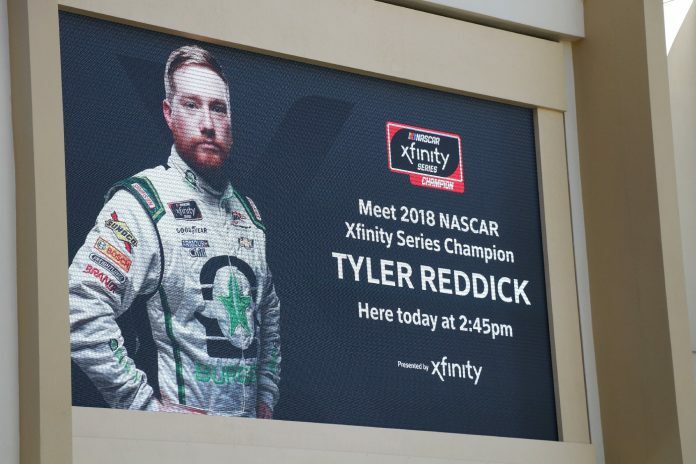 We spoke with Reddick before his day started, which you can hear on the next Inside Universal Radio – Orlando podcast. 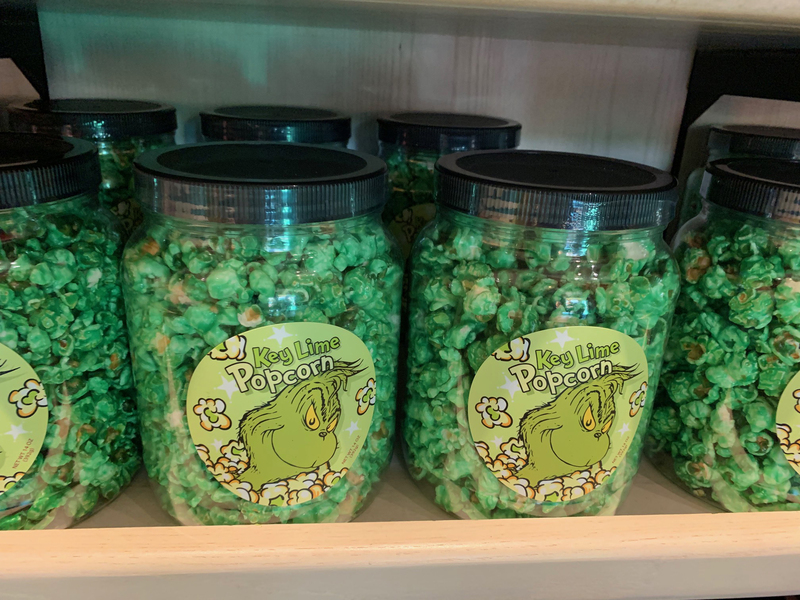 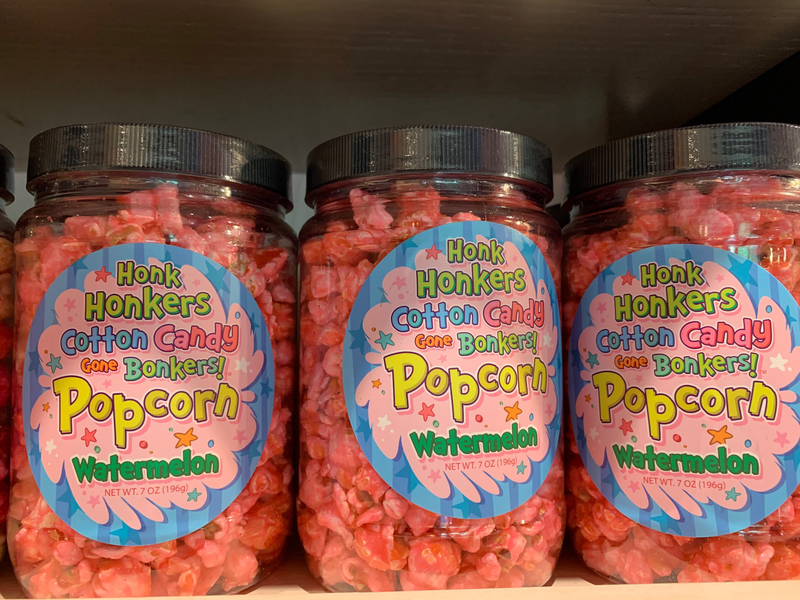 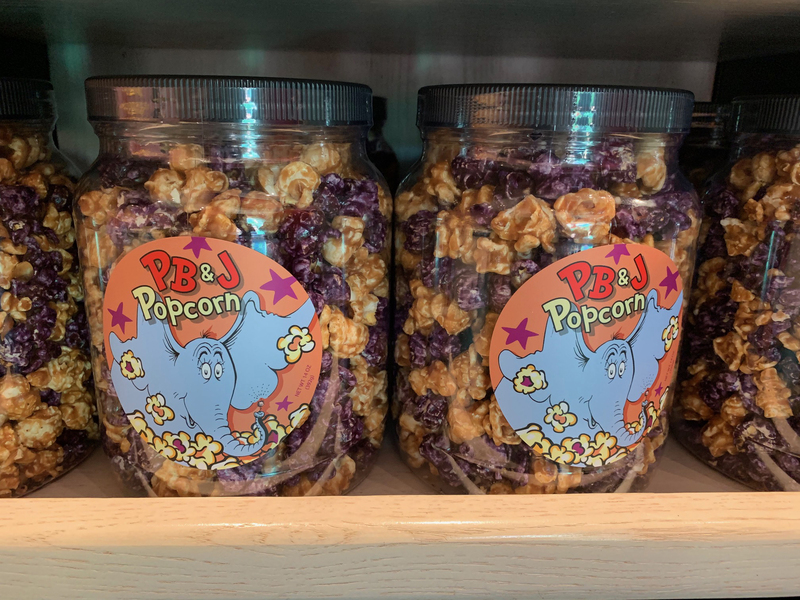 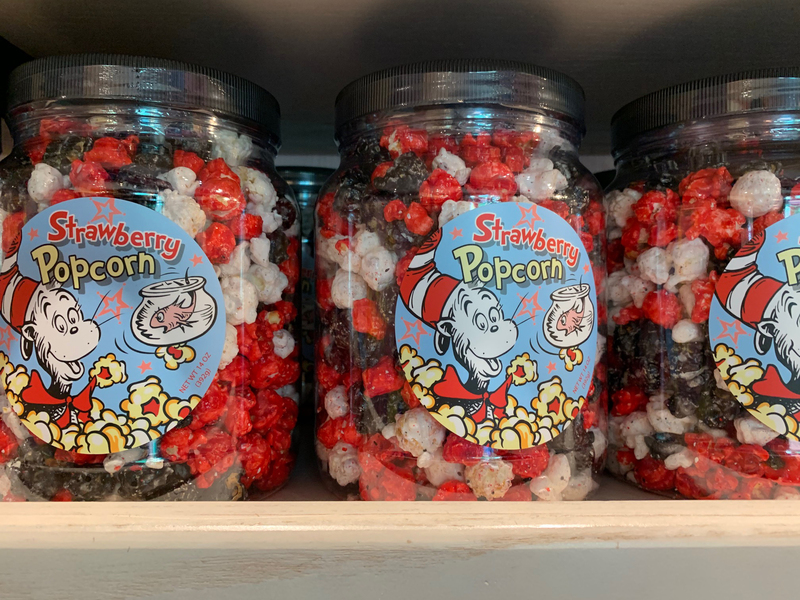 Honk Honkers, the popular build-a-cotton candy store, has re-opened after temporary refurbishment; featuring new flavored gourmet popcorn. 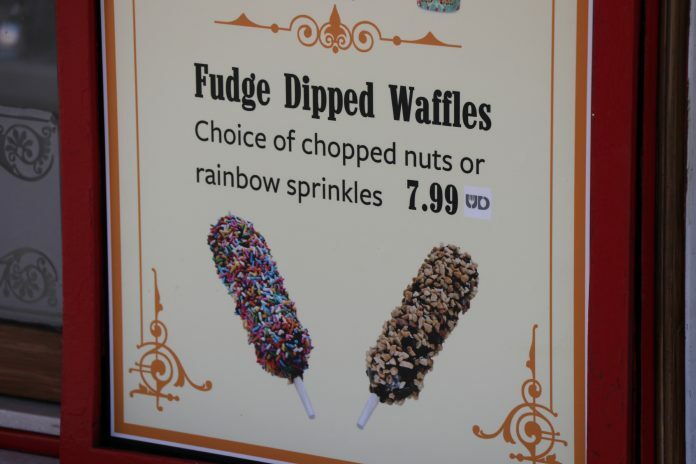 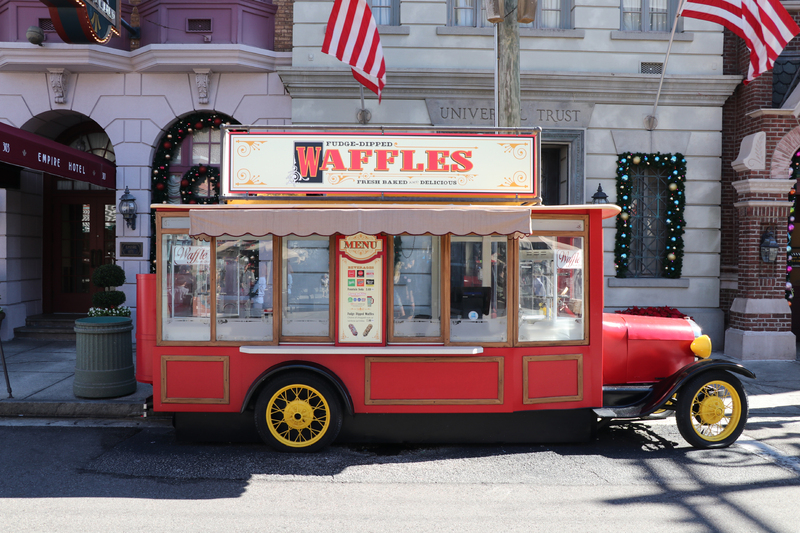 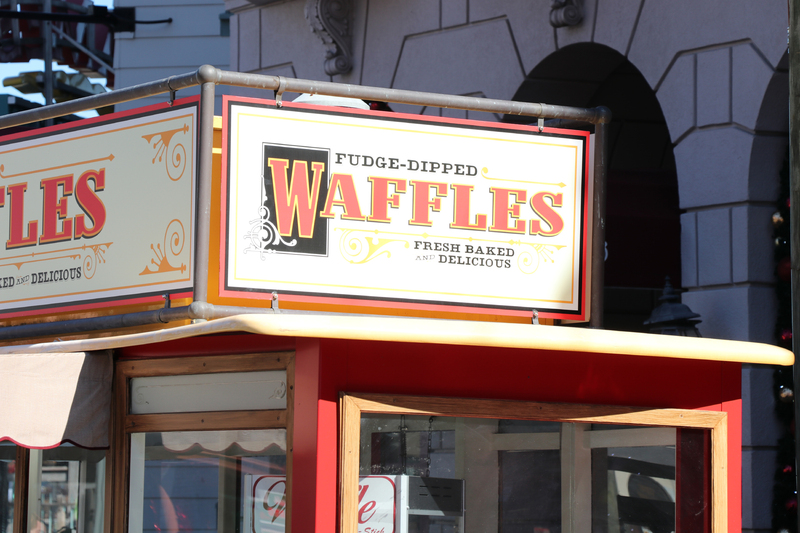 The snack cart in New York has been converted to sell Fudge-Dipped Waffles, the popular treat sold during this year’s Halloween Horror Nights. Before the switch, the cart sold snacks and craft beer. Next articleInside Universal Radio: Orlando – 18. 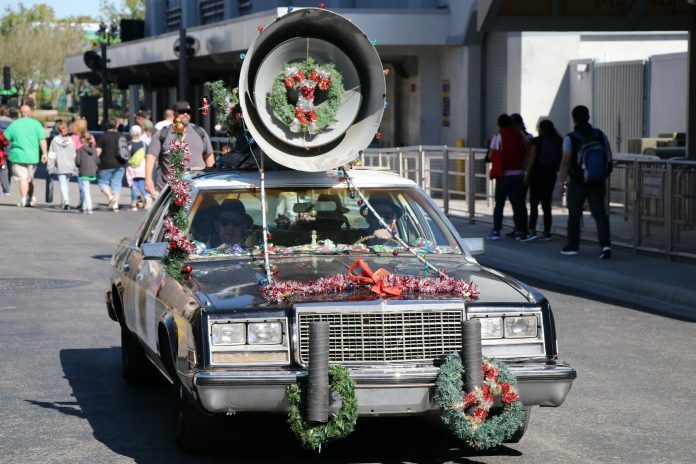 JINGLECHARGED!